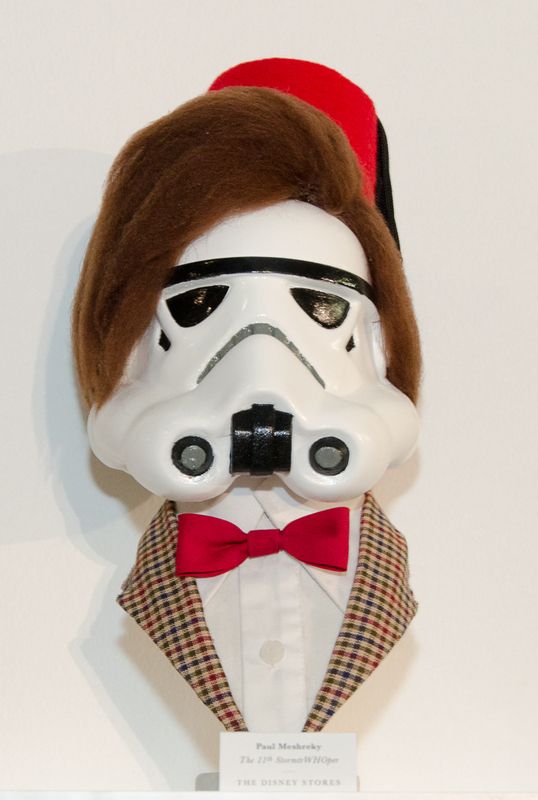 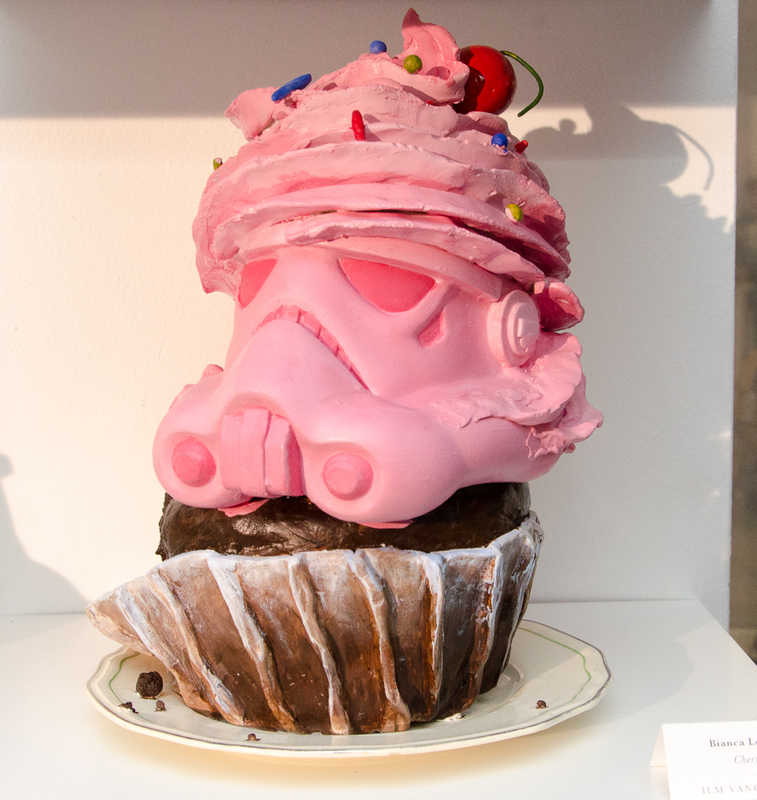 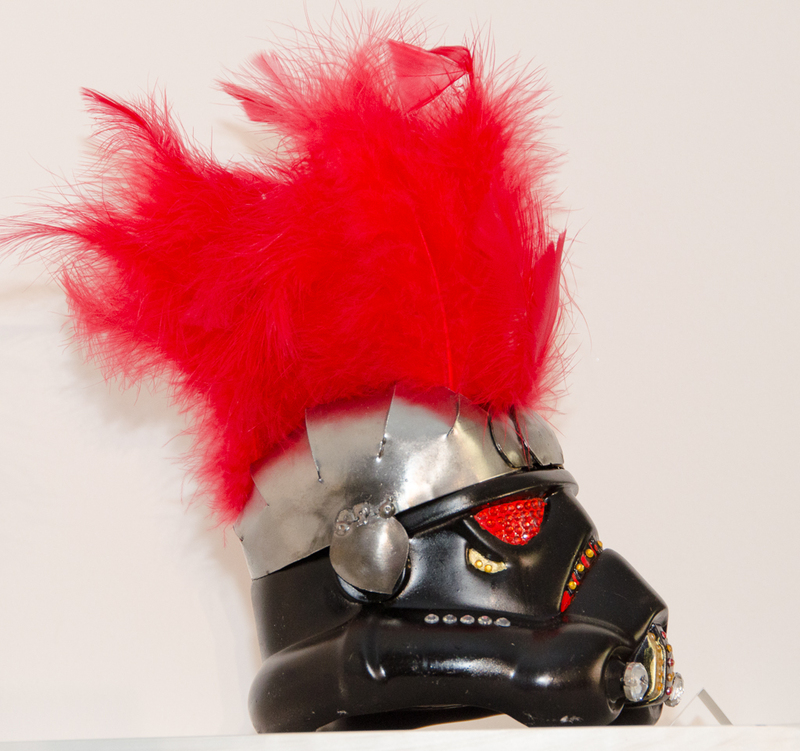 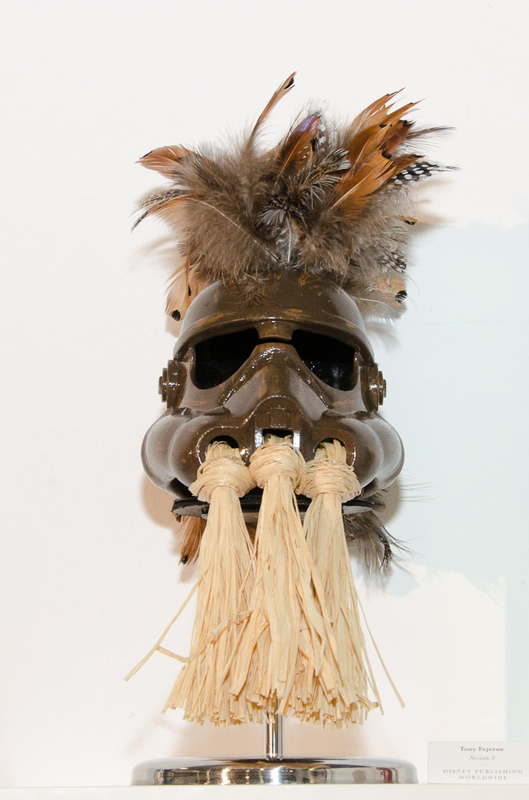 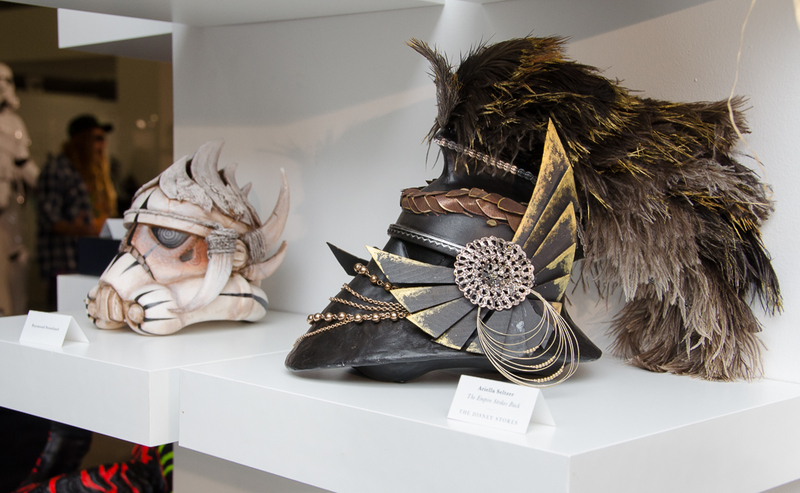 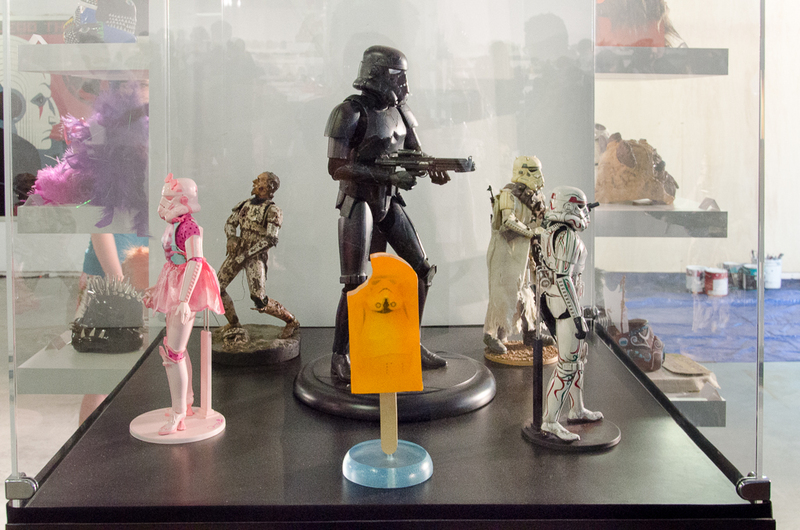 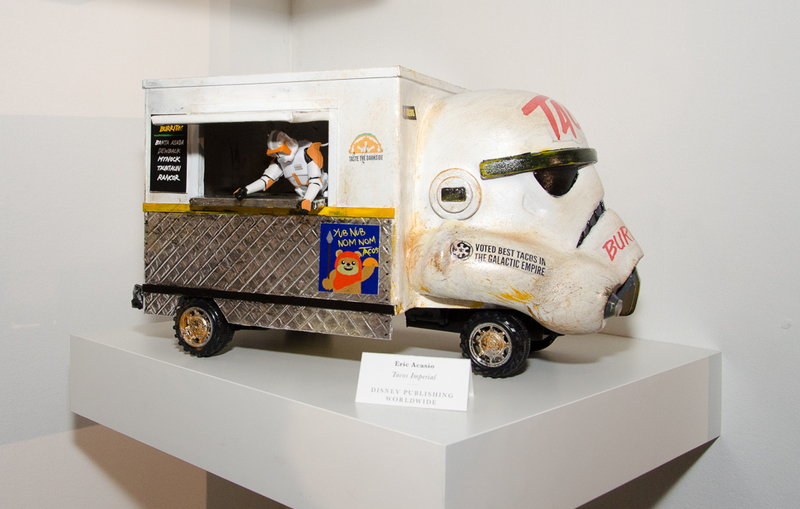 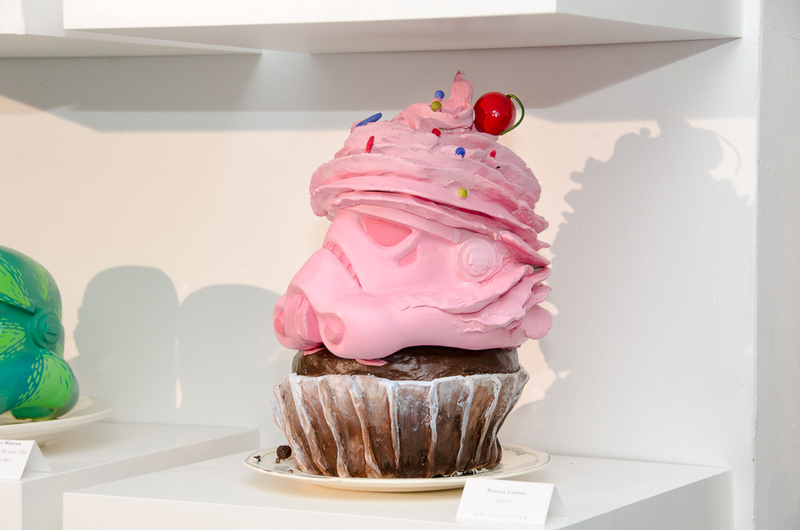 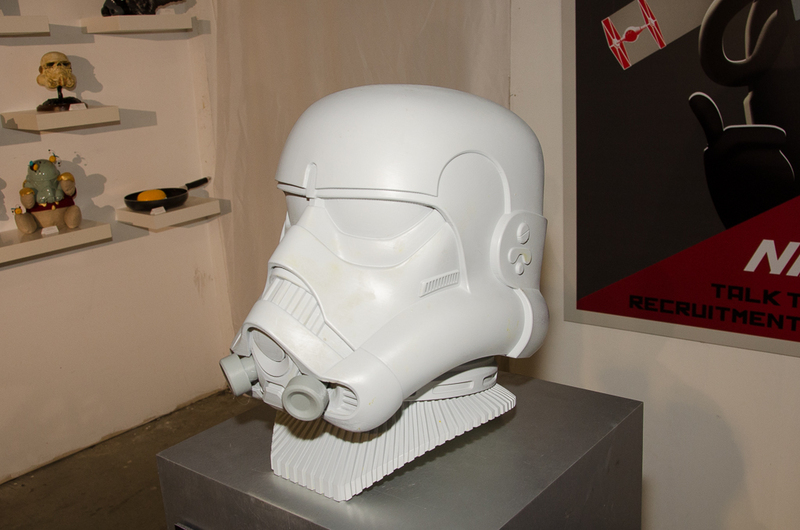 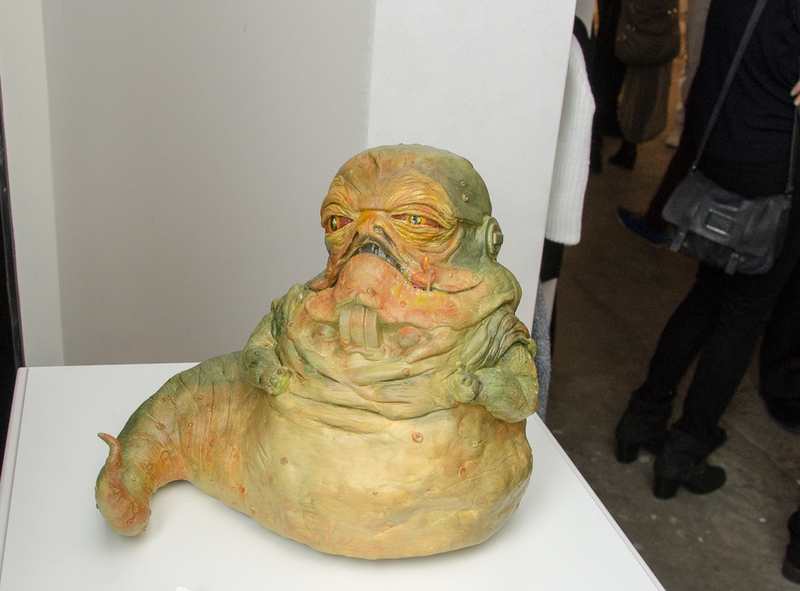 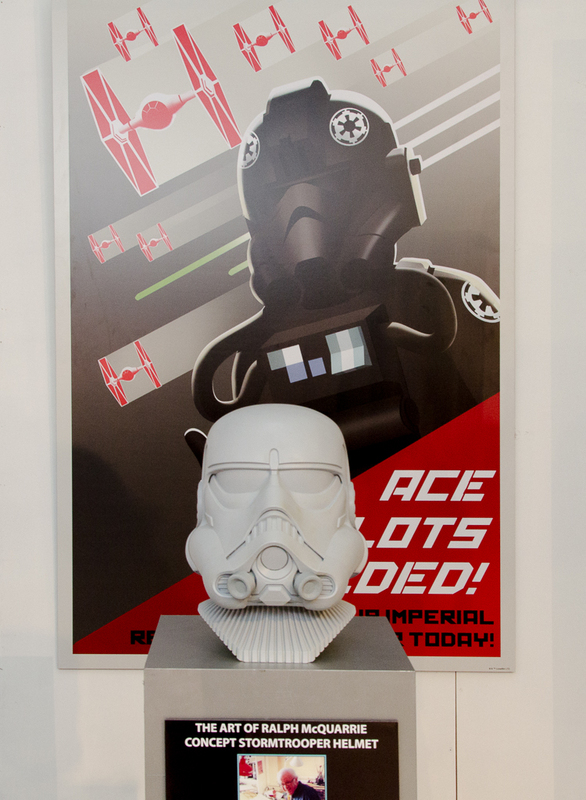 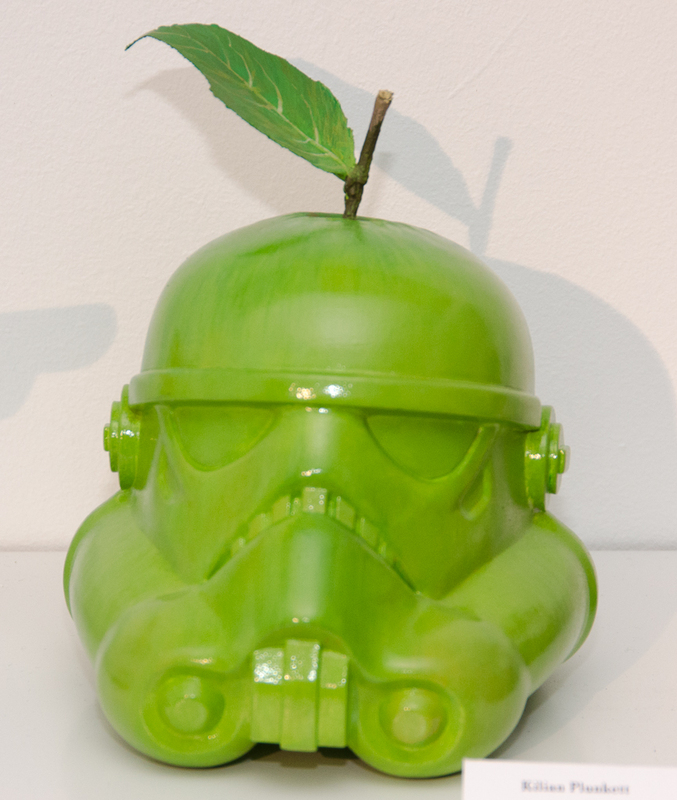 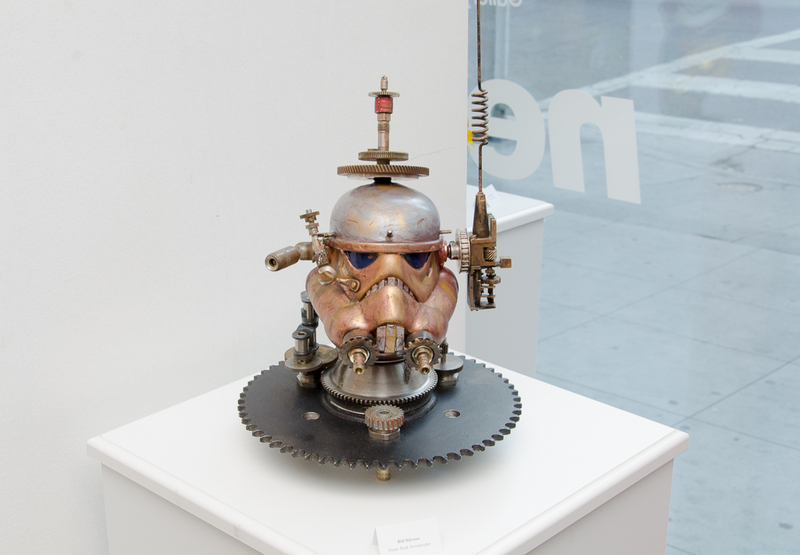 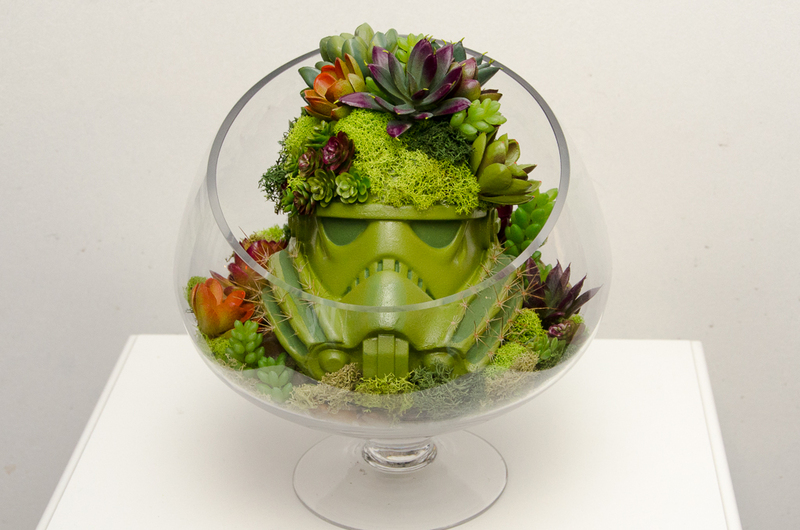 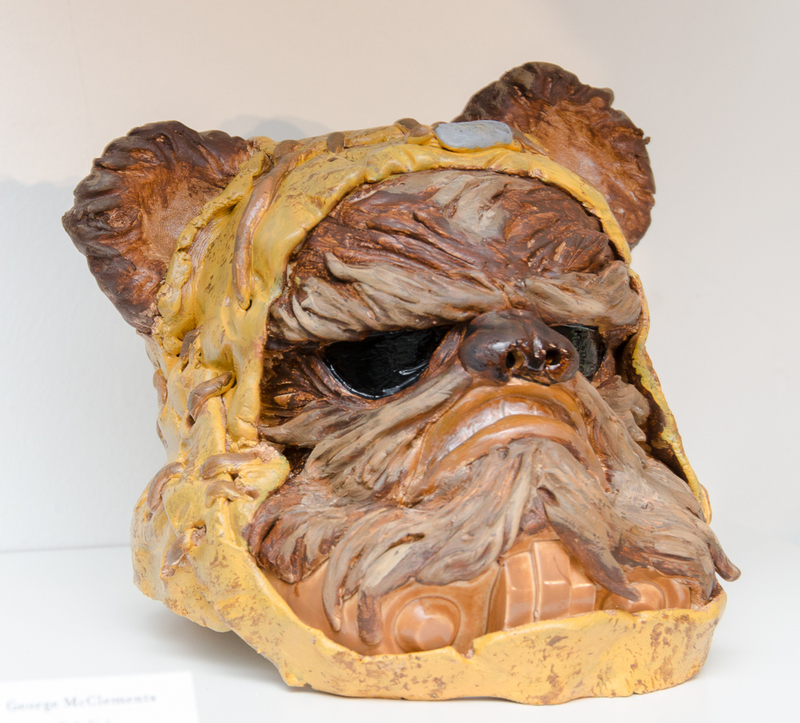 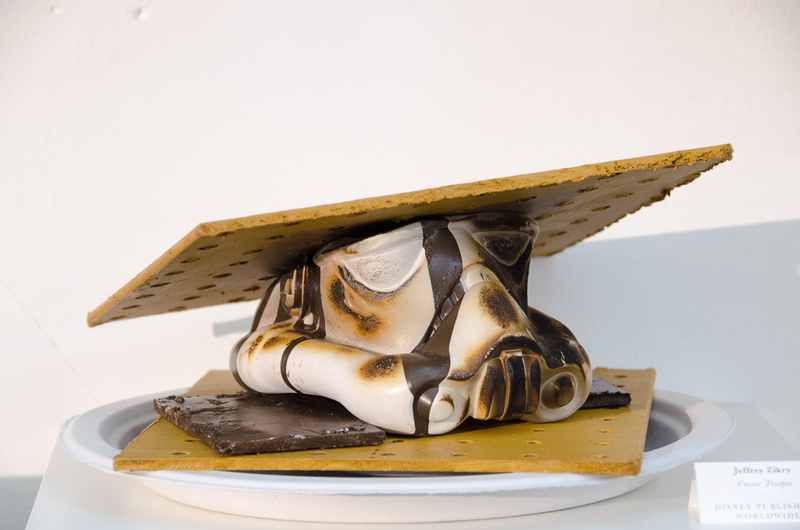 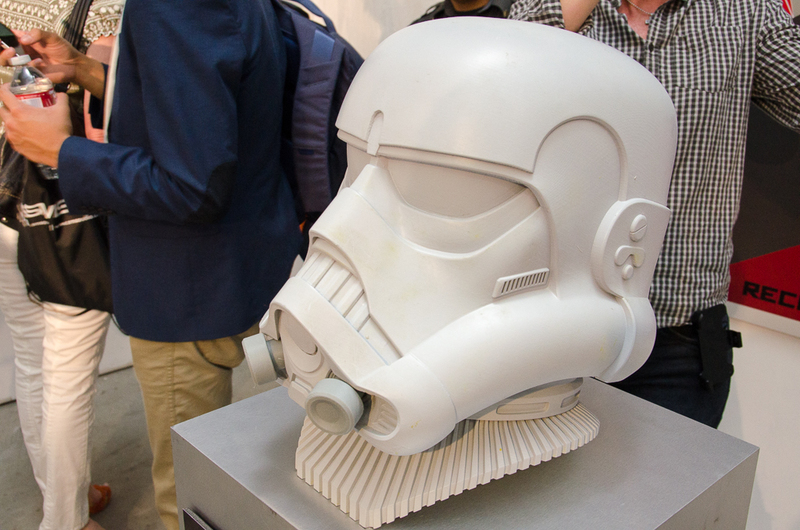 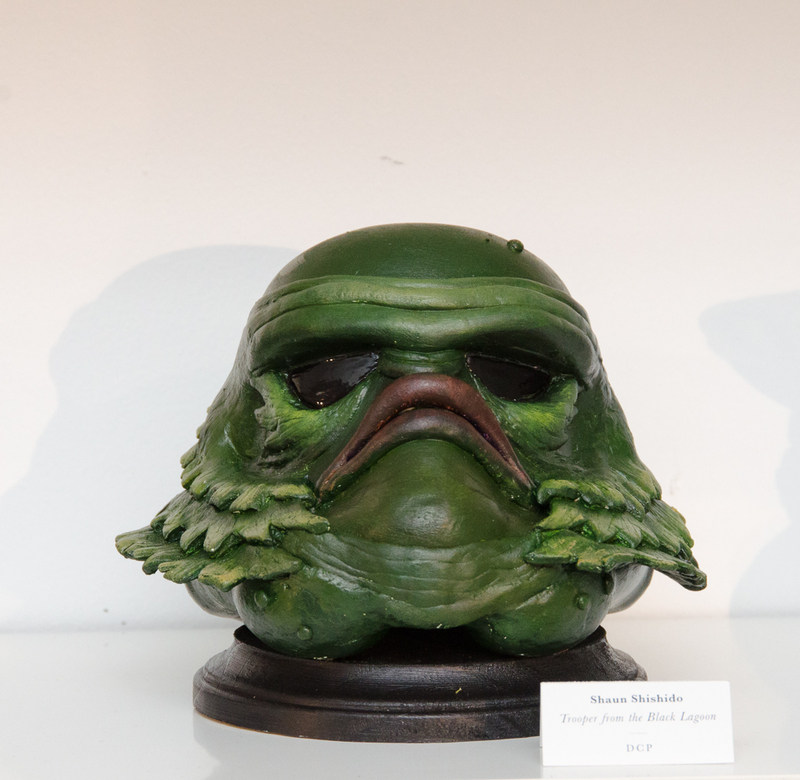 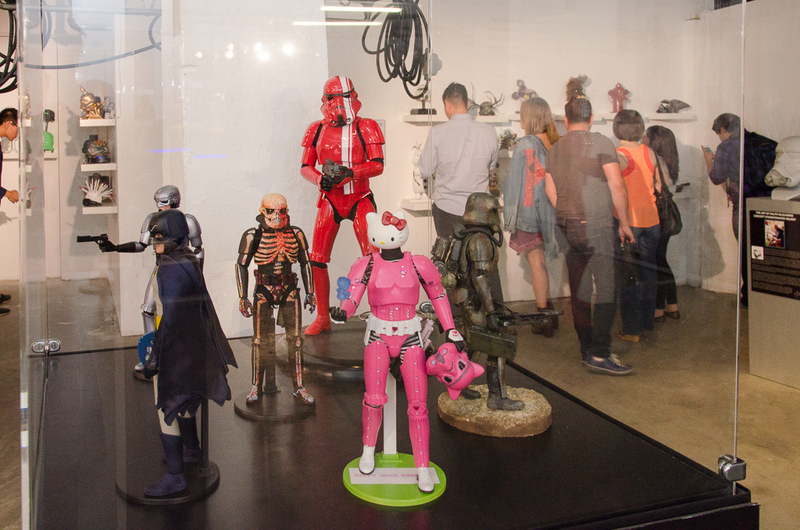 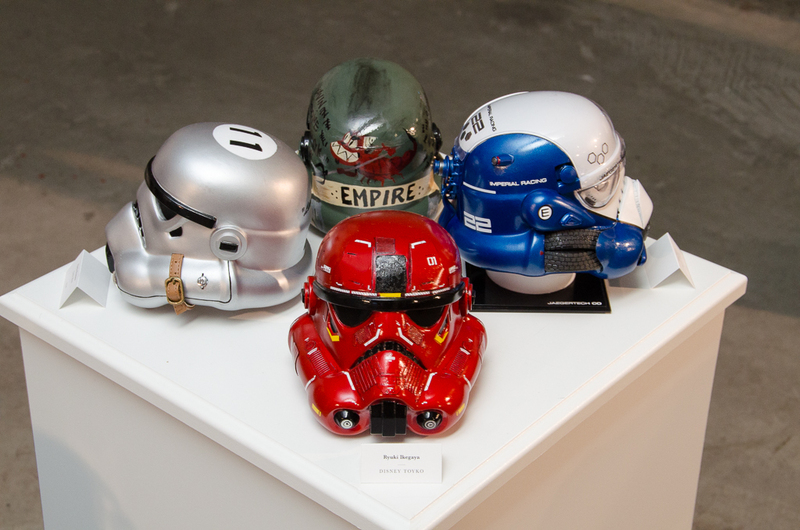 Lucasfilm, Disney, and Neff have put together ‘Star Wars Legion’, a Stormtrooper Helmet exhibition running at Robert Vargas Gallery in Downtown Los Angeles through Star Wars Celebration Day, May 4th. 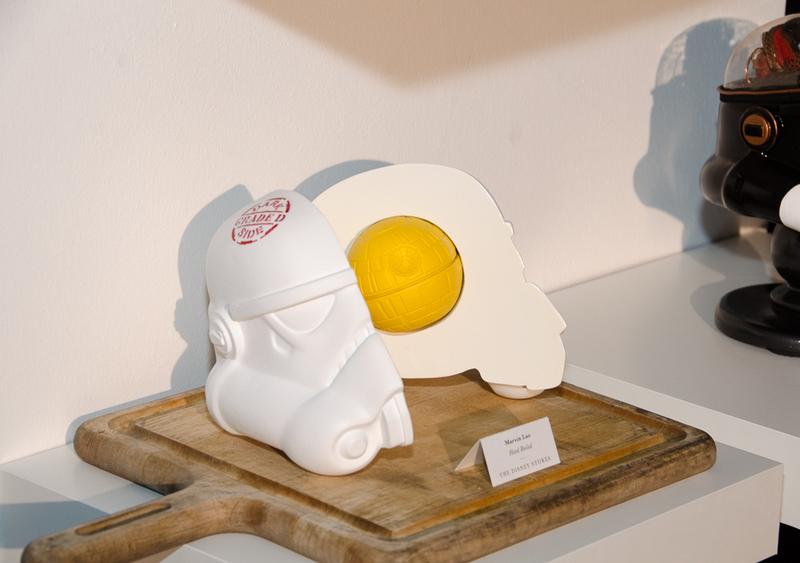 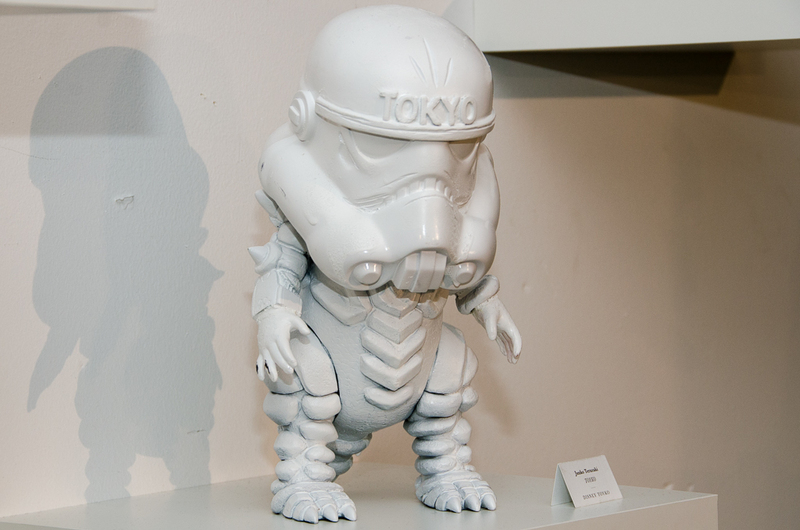 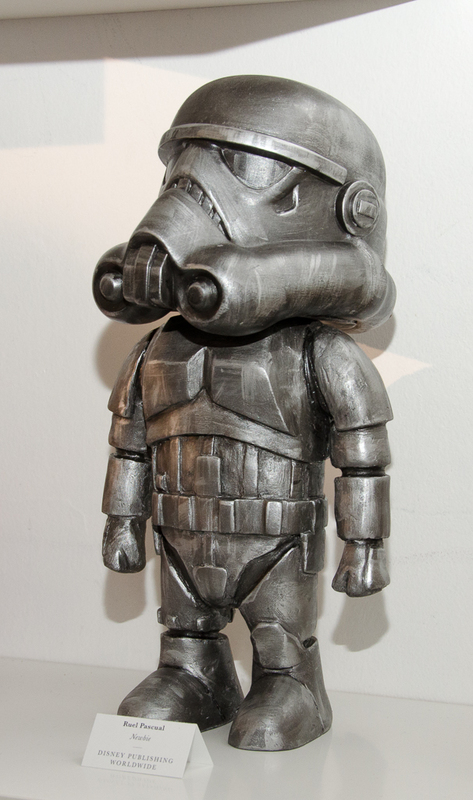 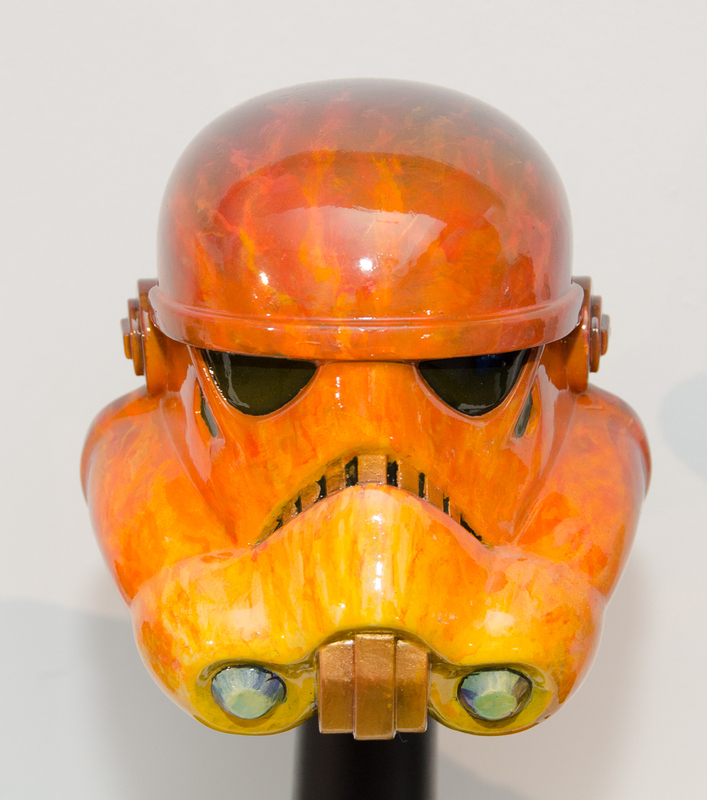 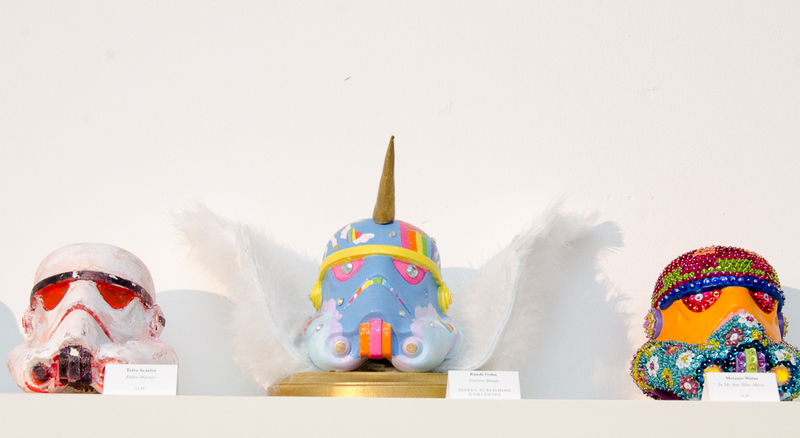 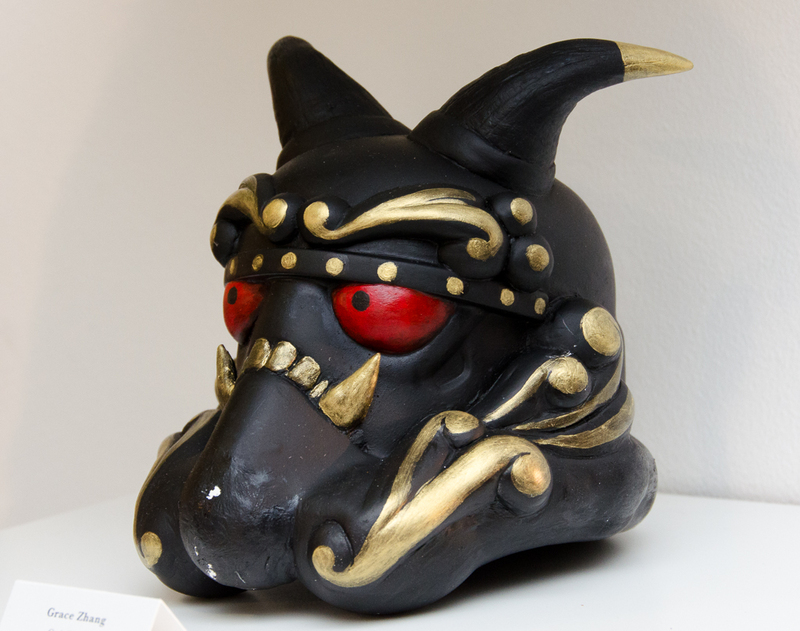 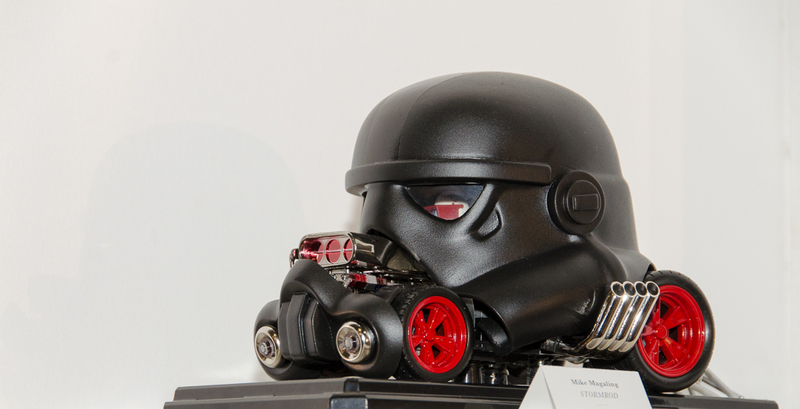 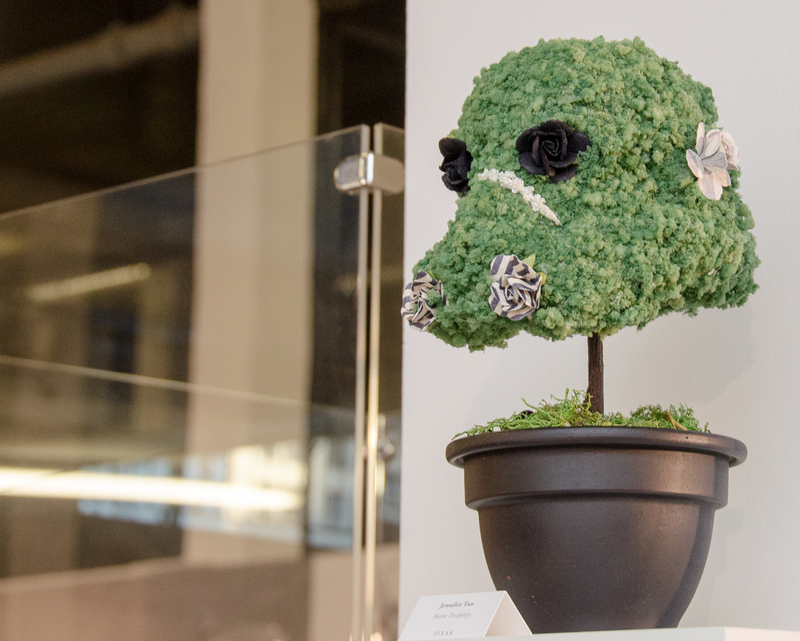 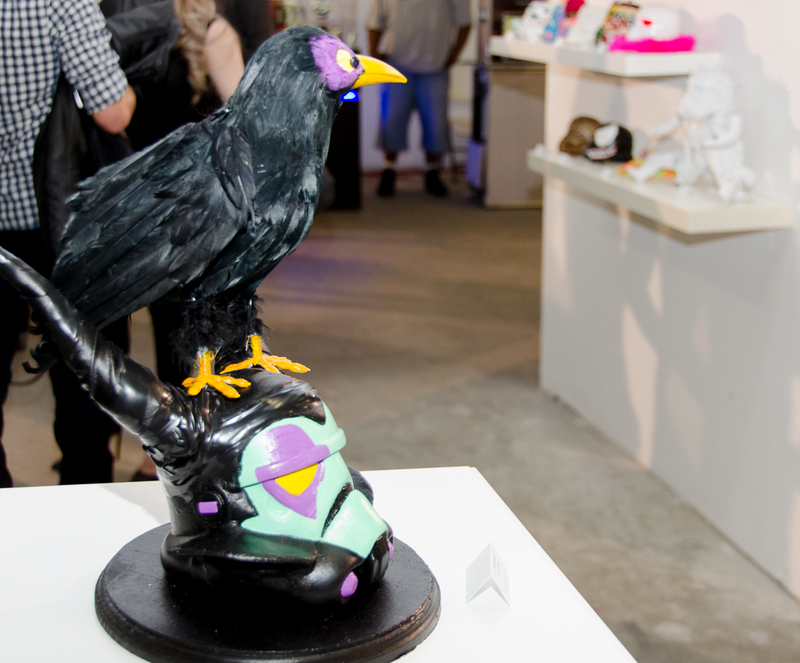 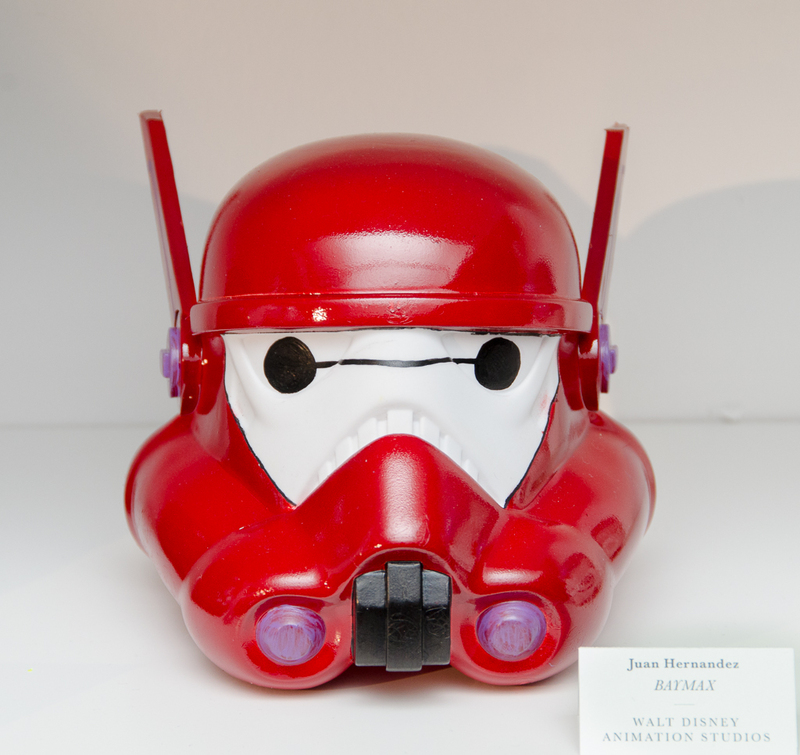 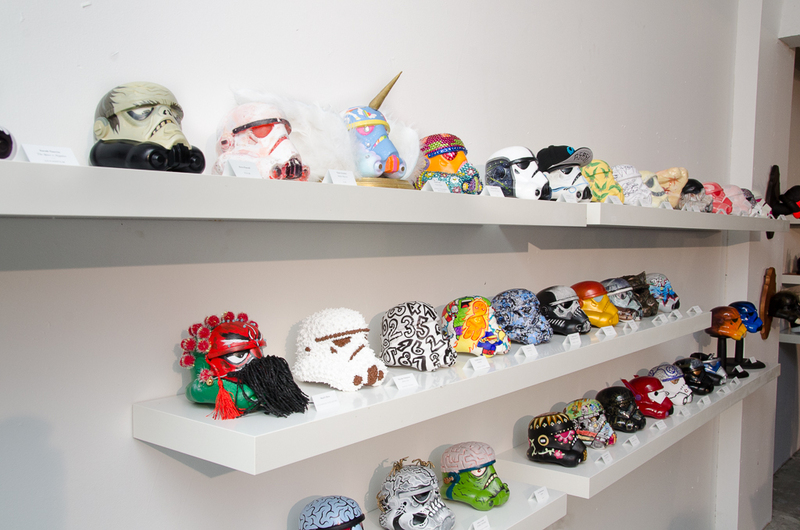 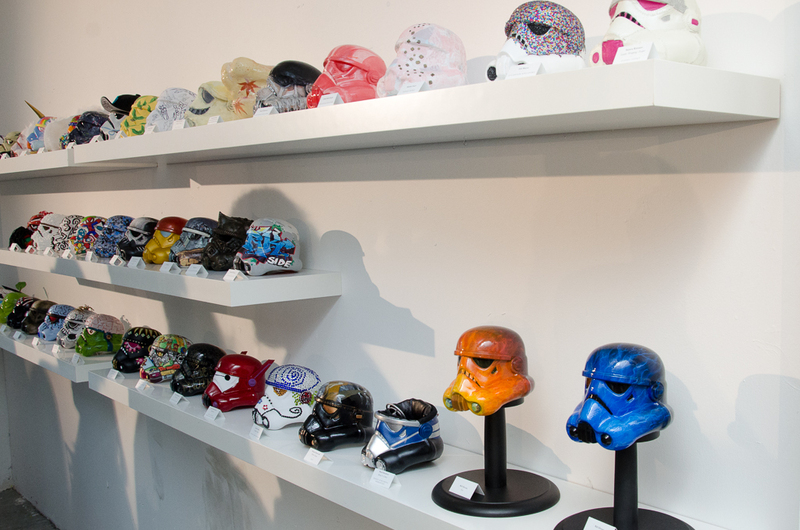 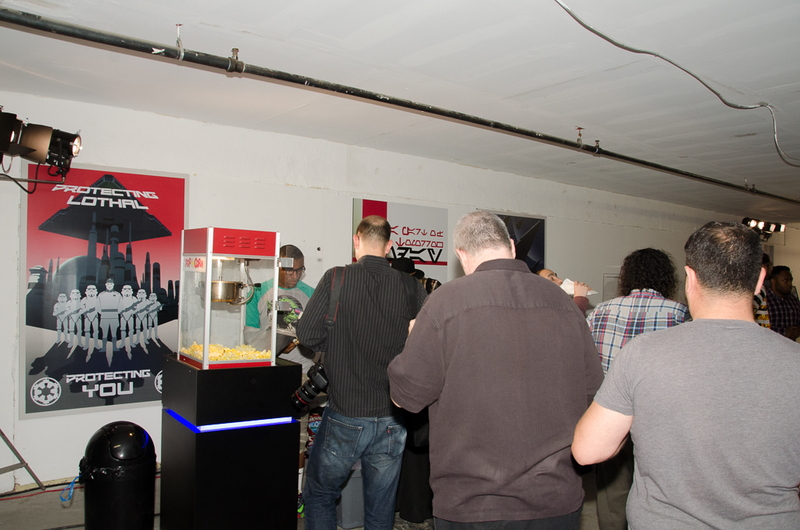 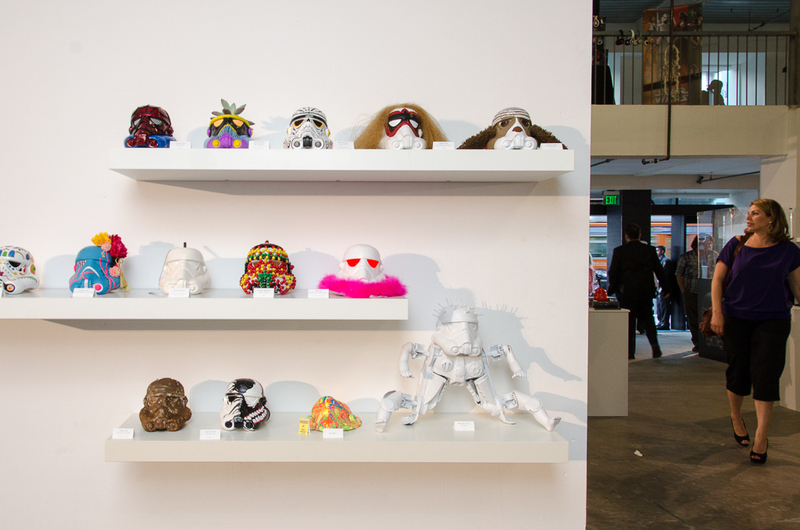 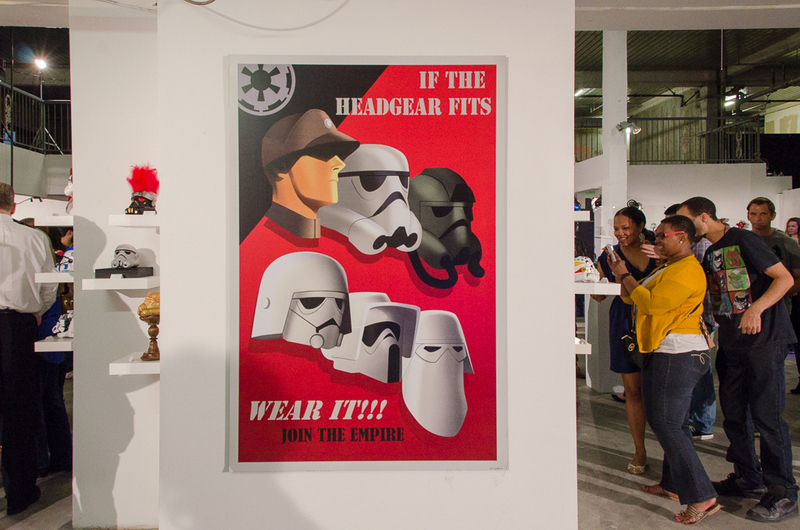 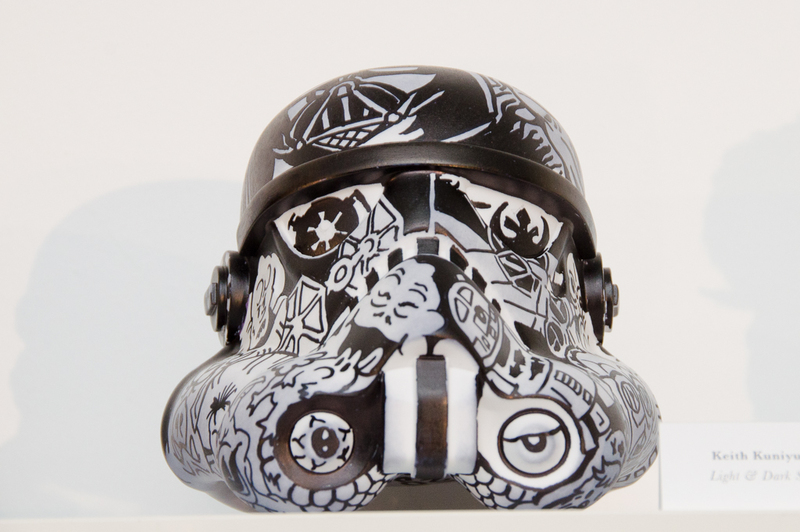 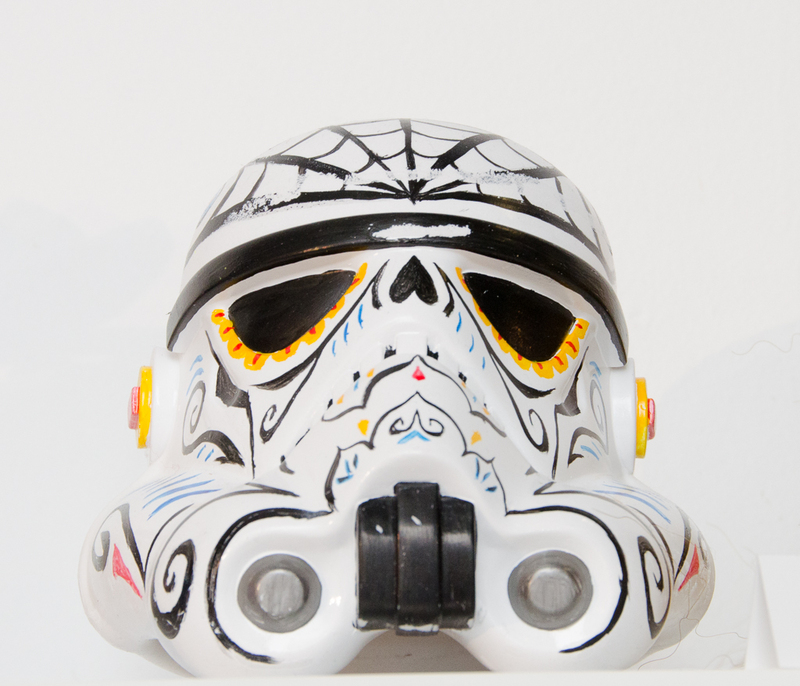 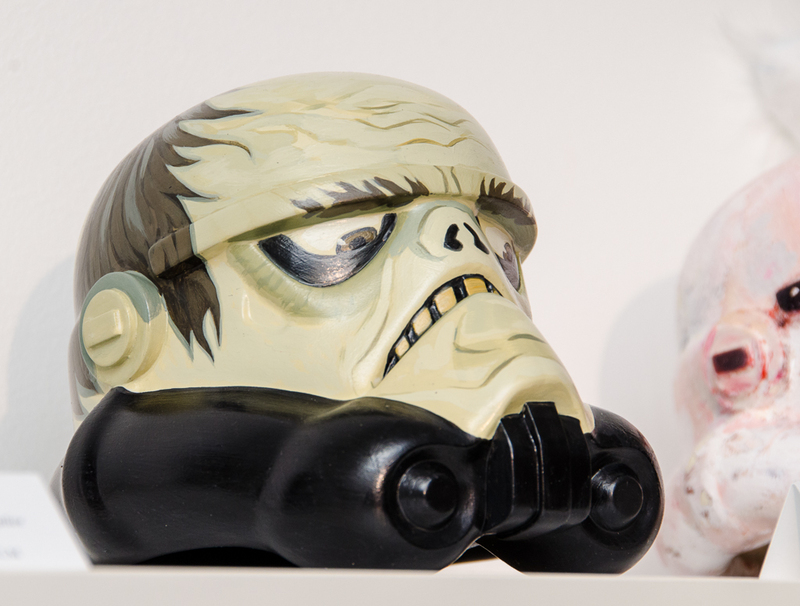 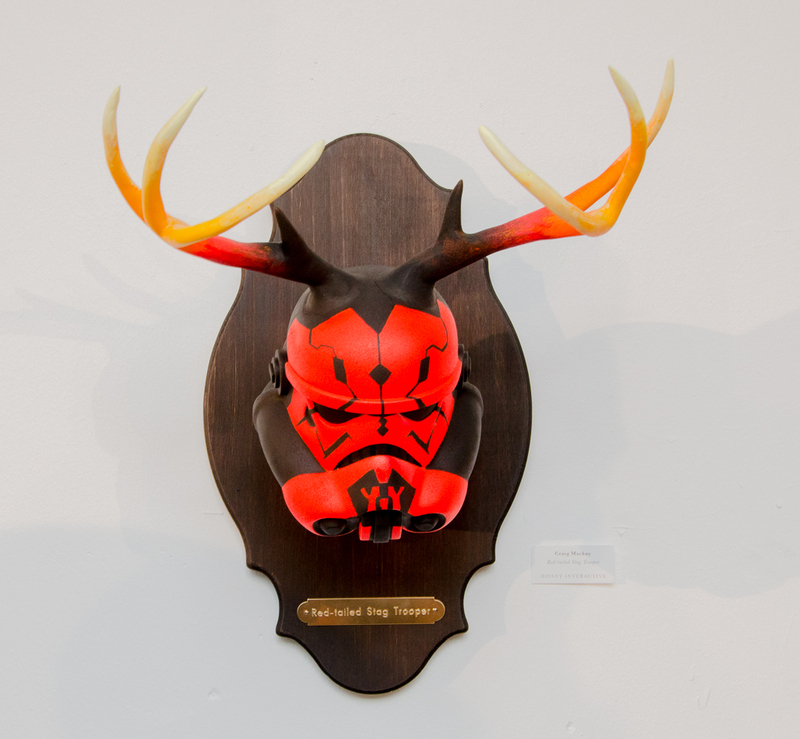 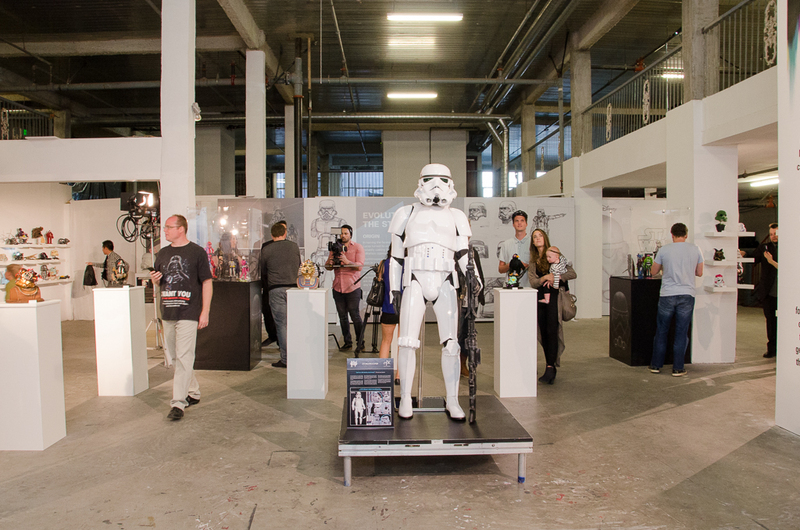 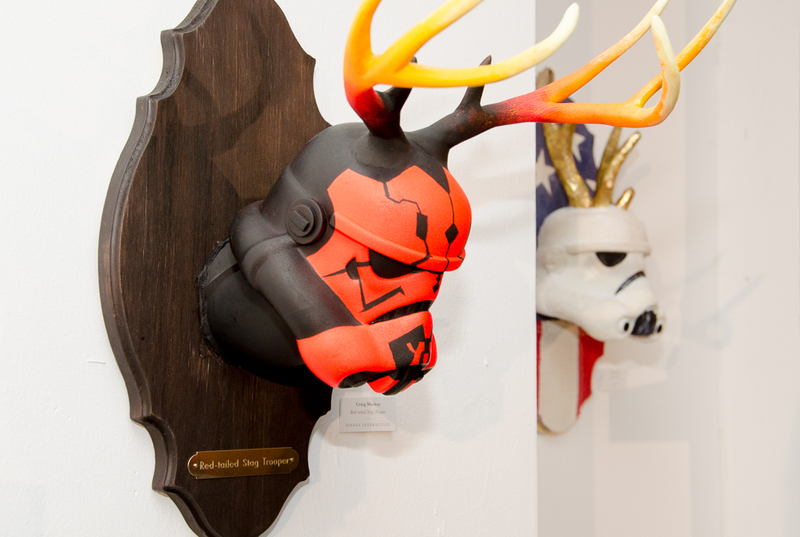 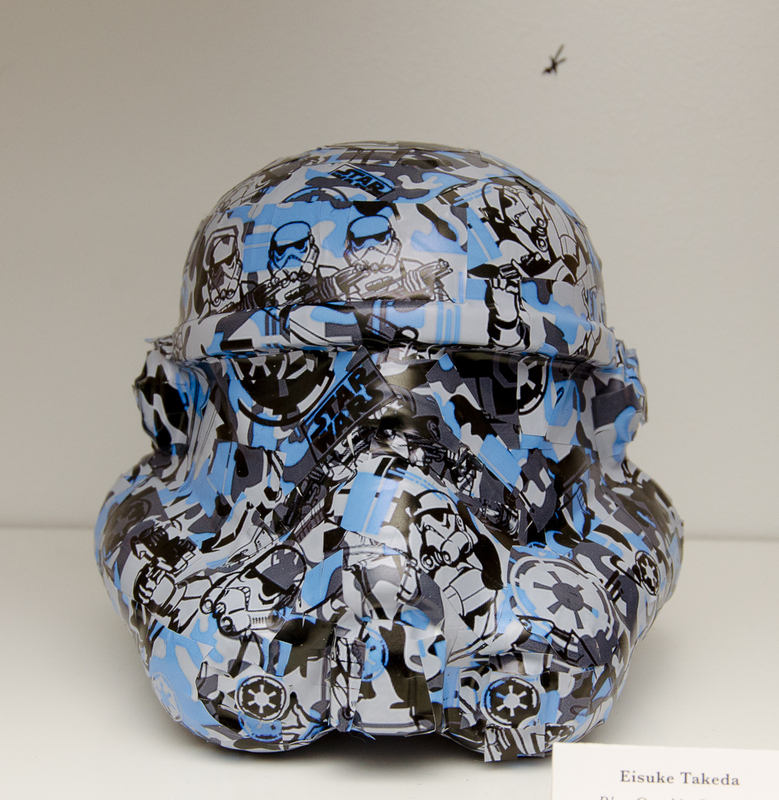 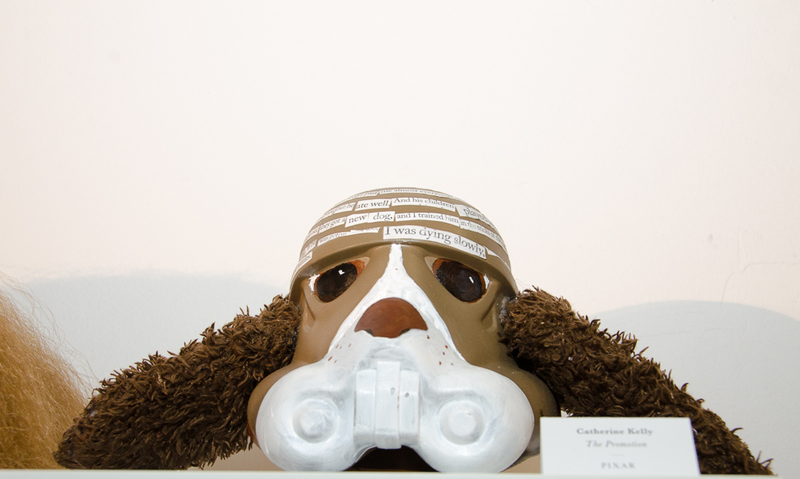 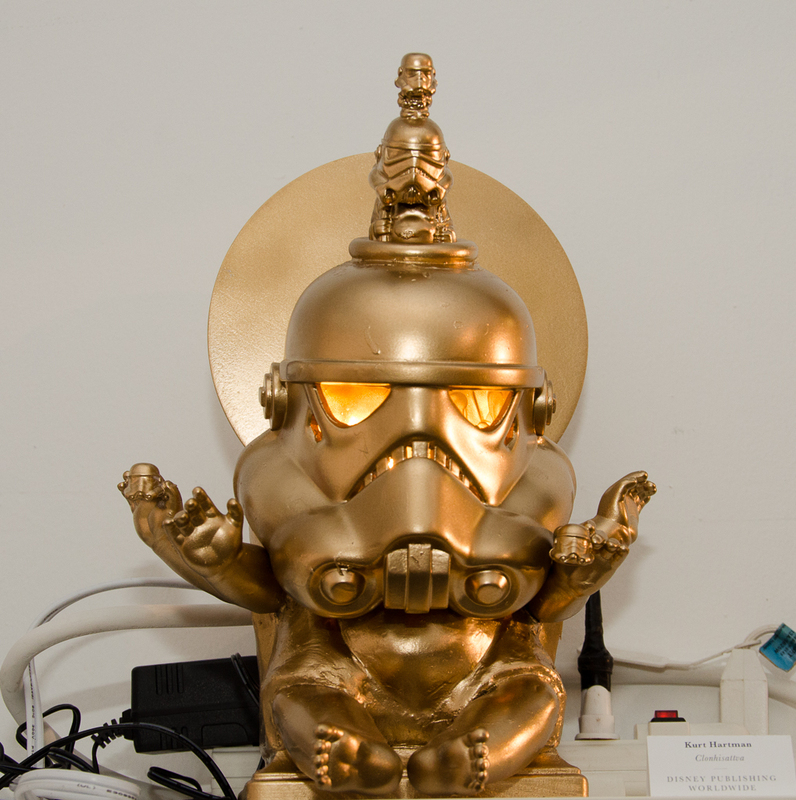 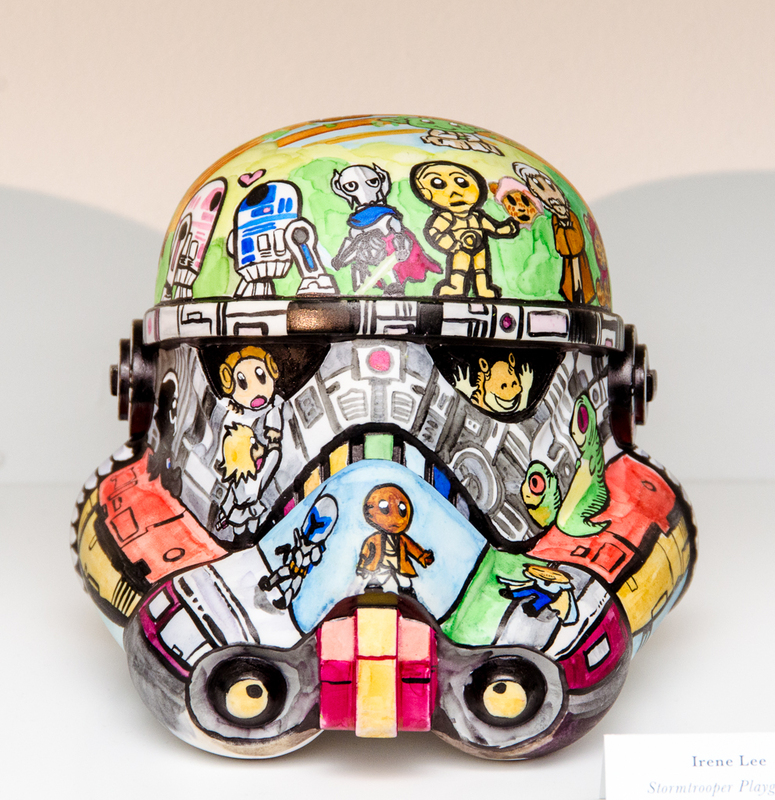 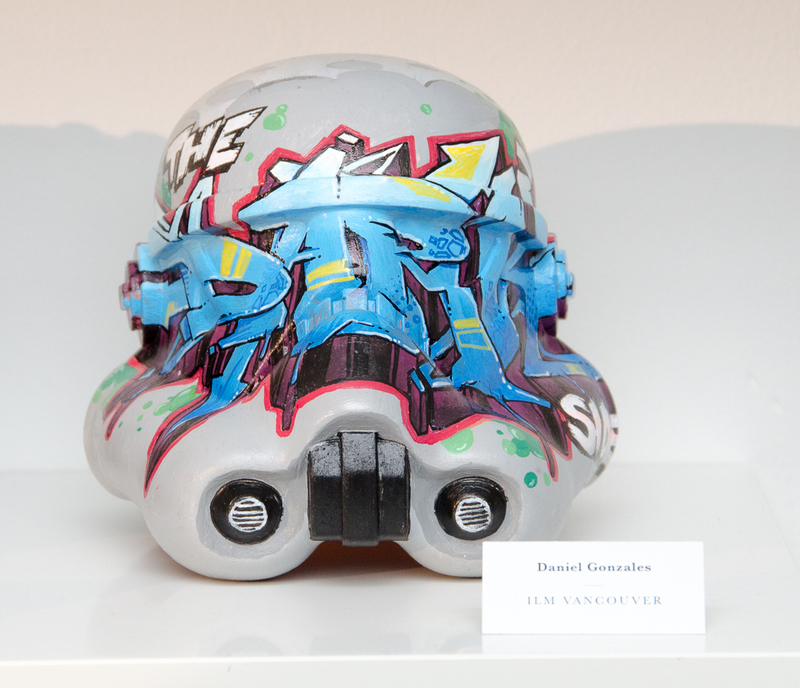 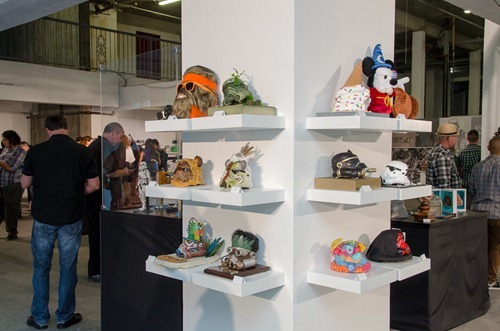 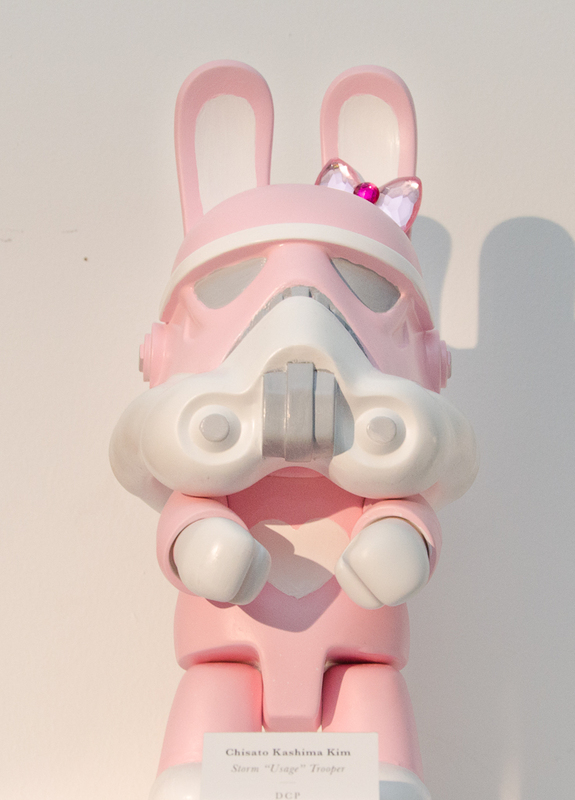 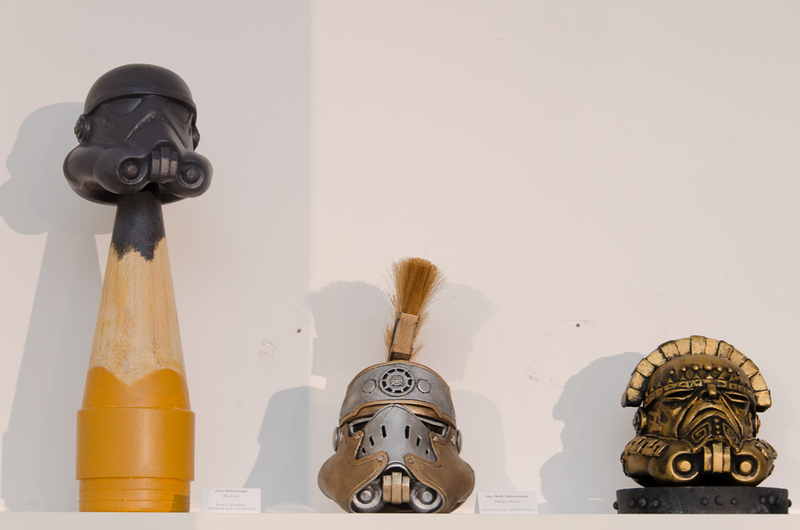 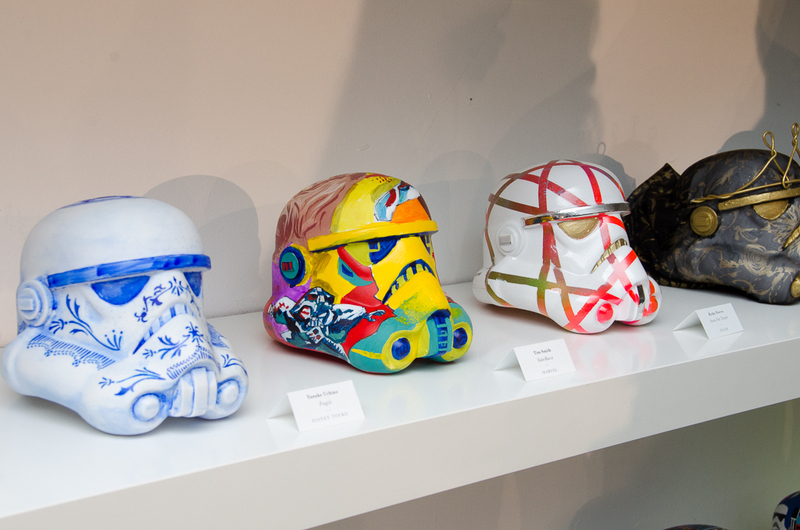 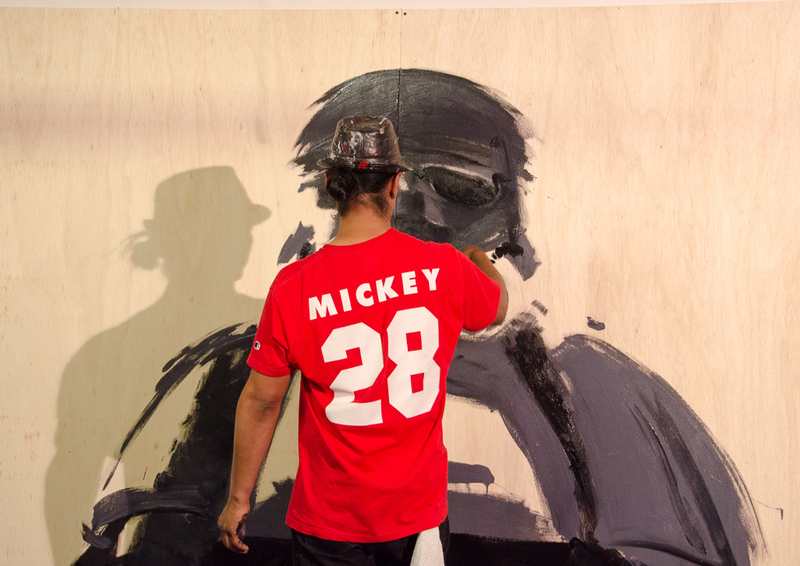 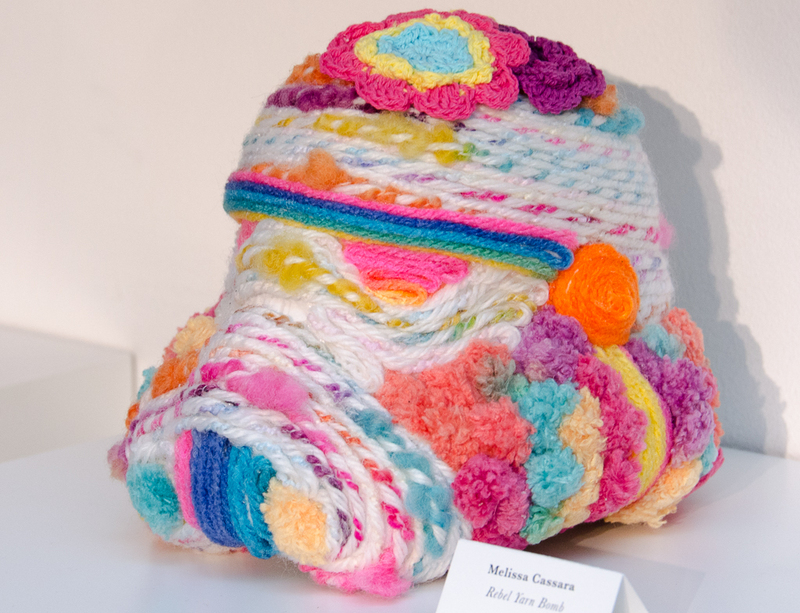 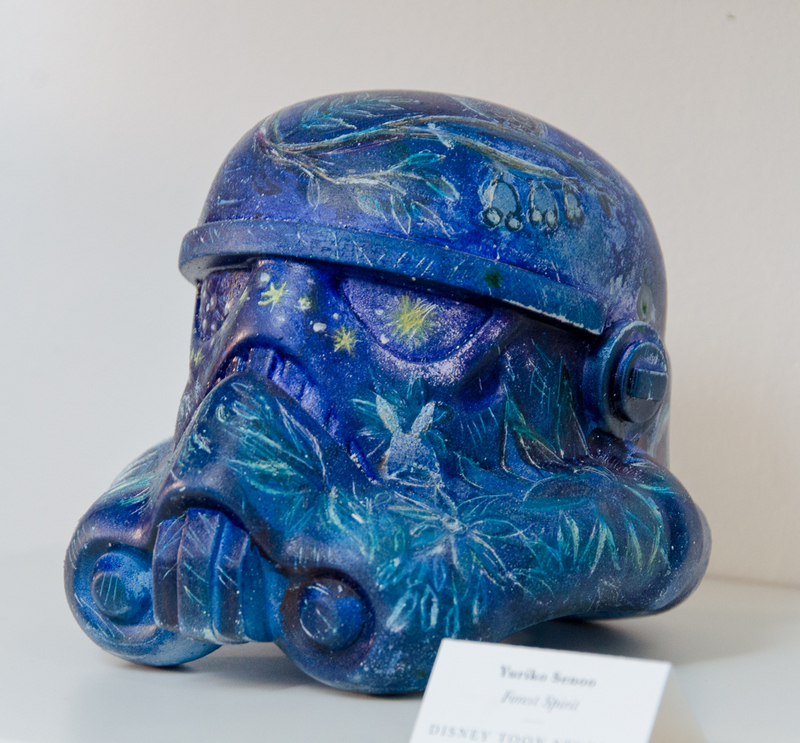 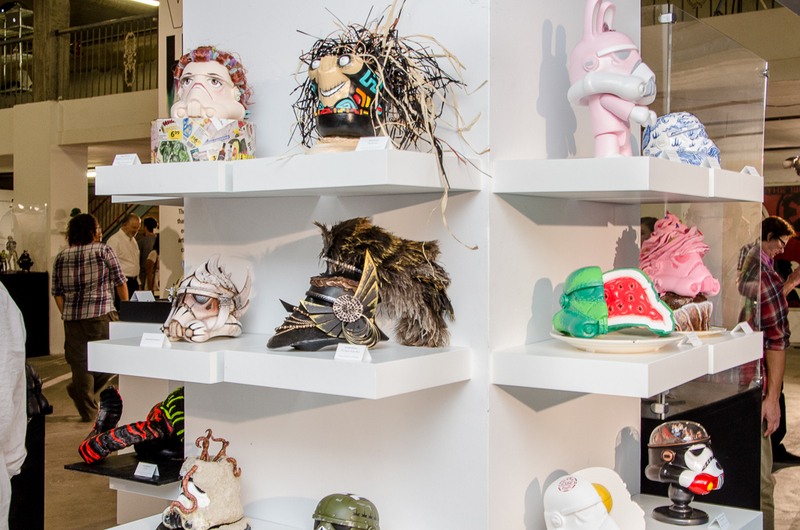 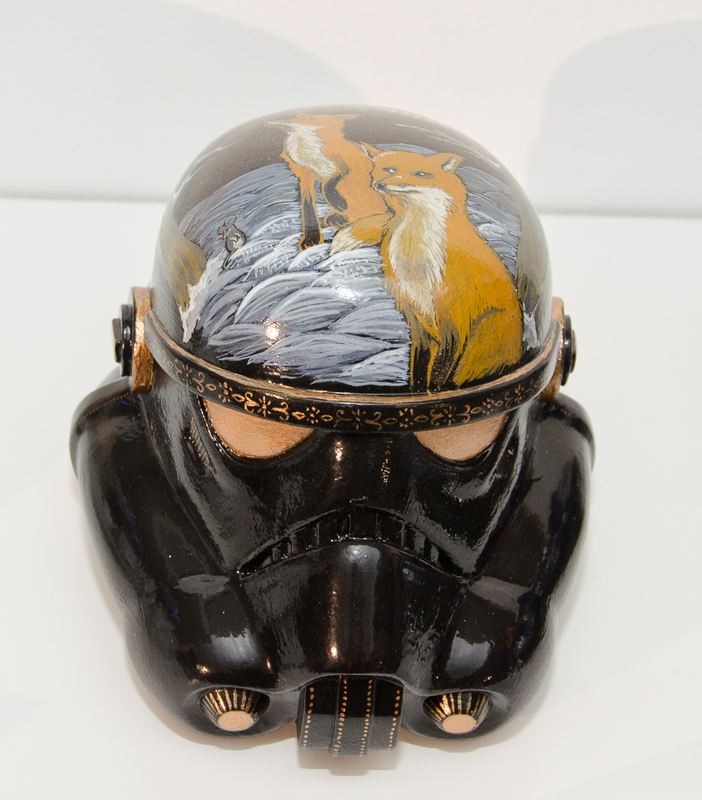 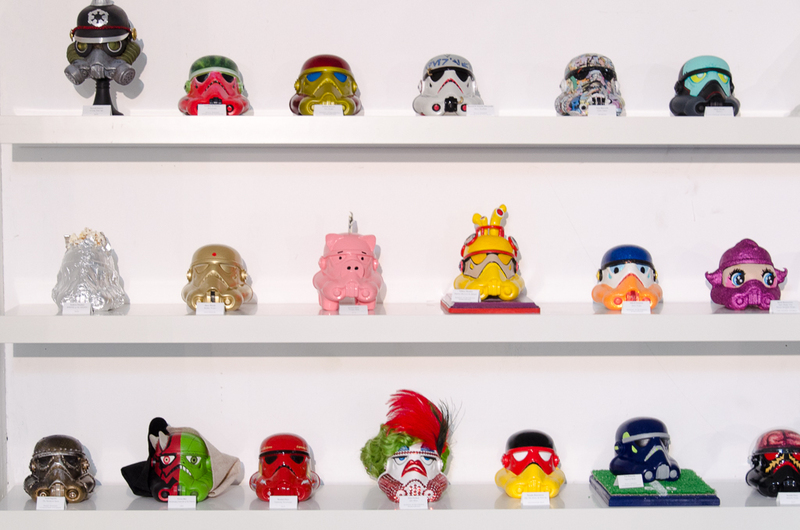 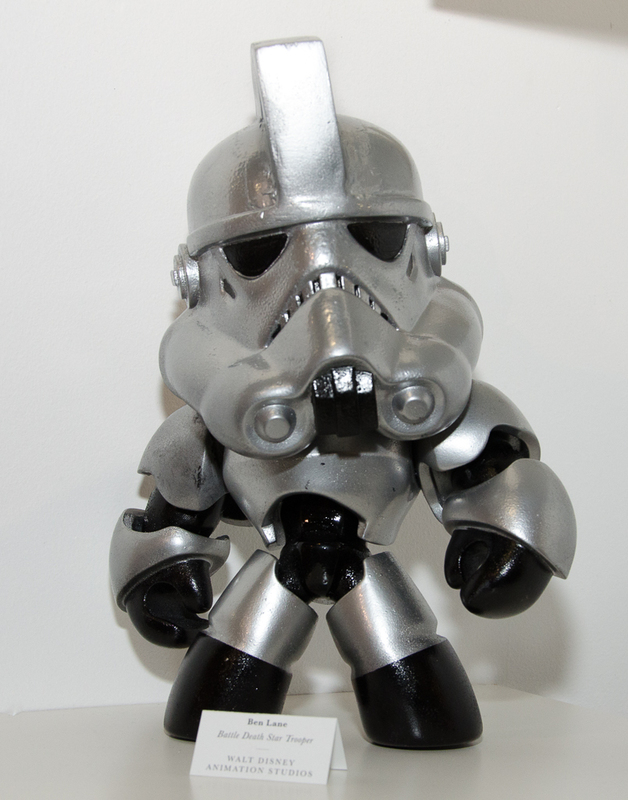 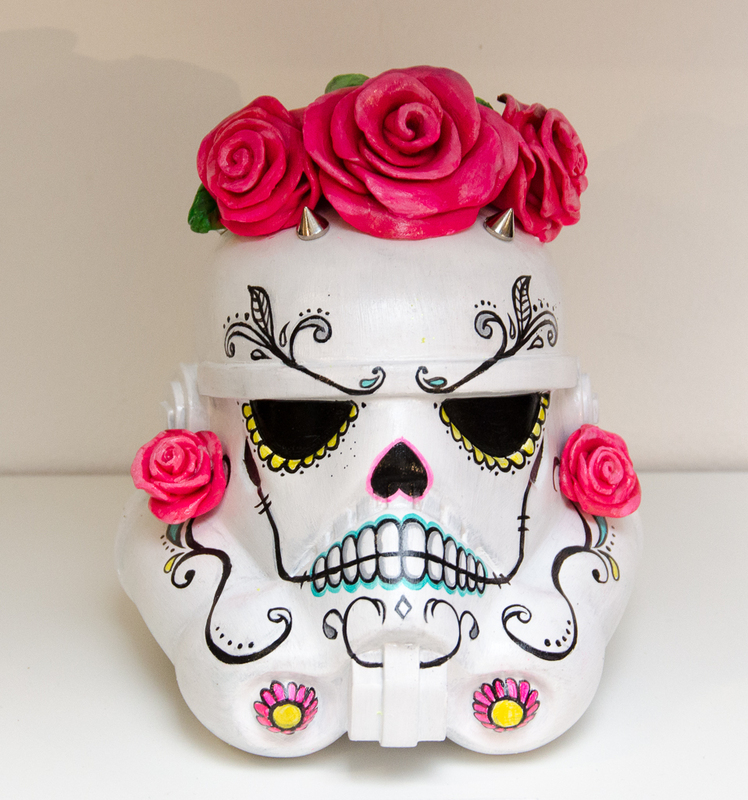 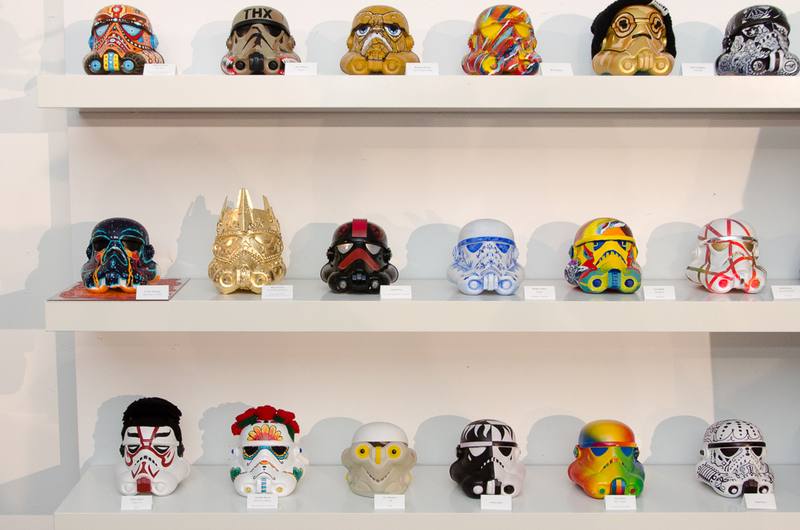 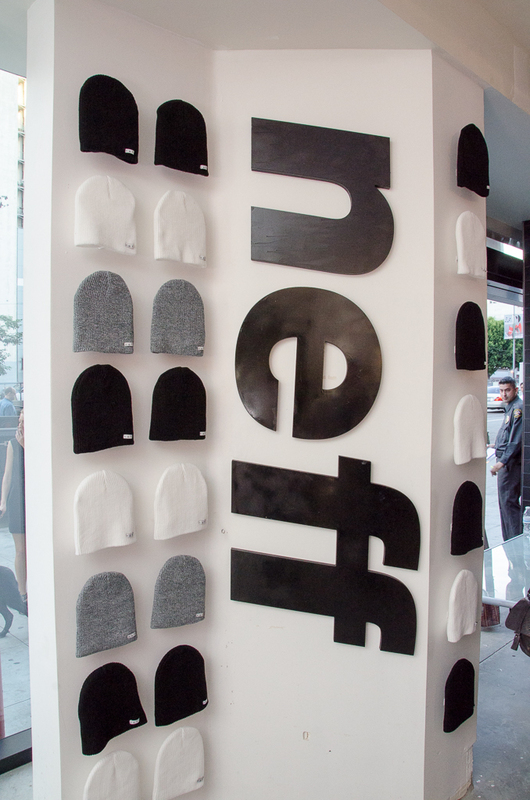 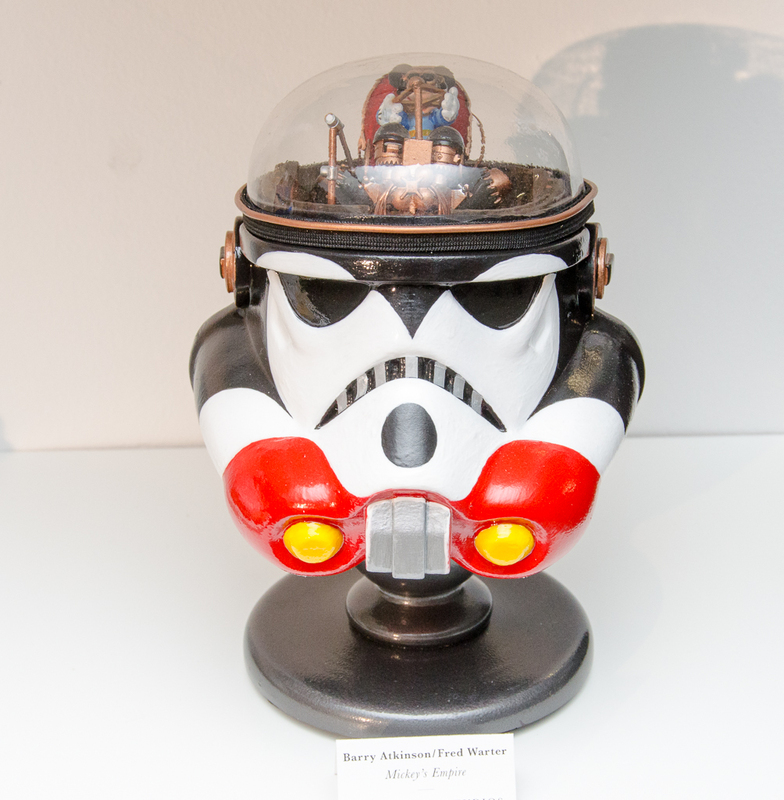 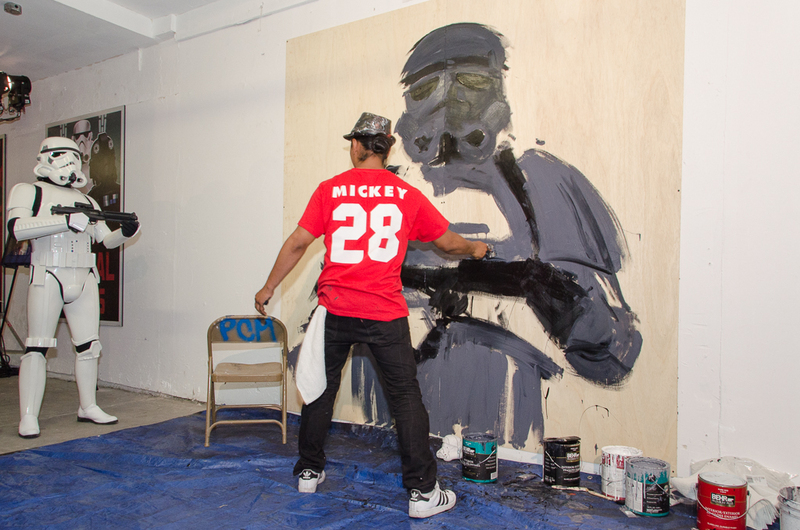 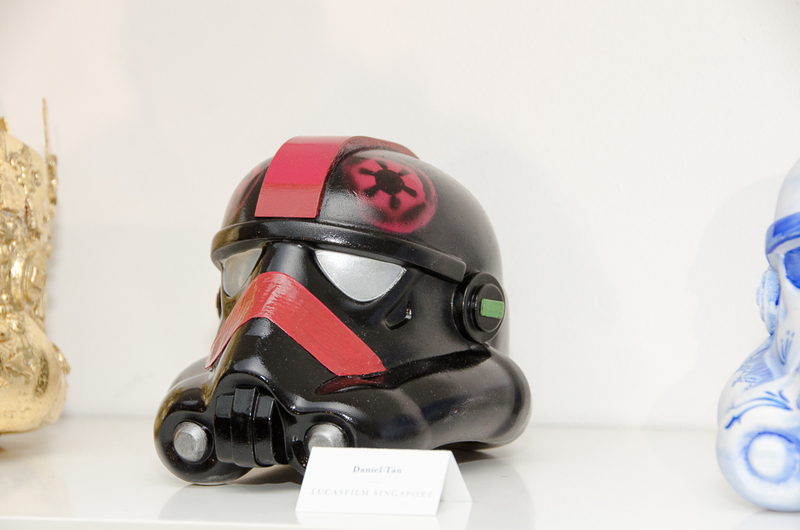 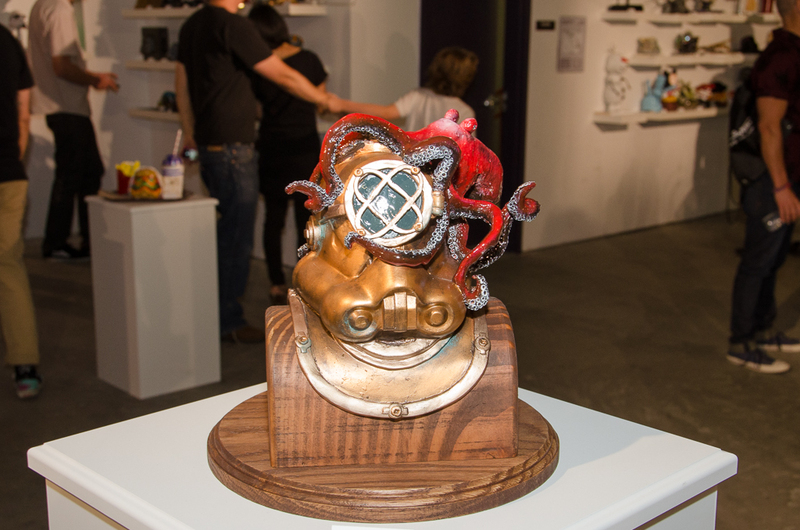 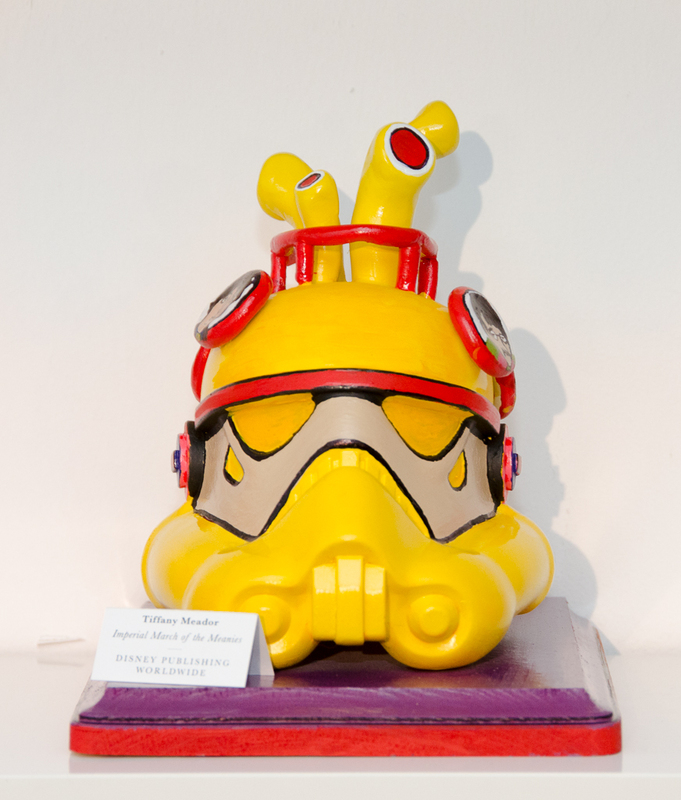 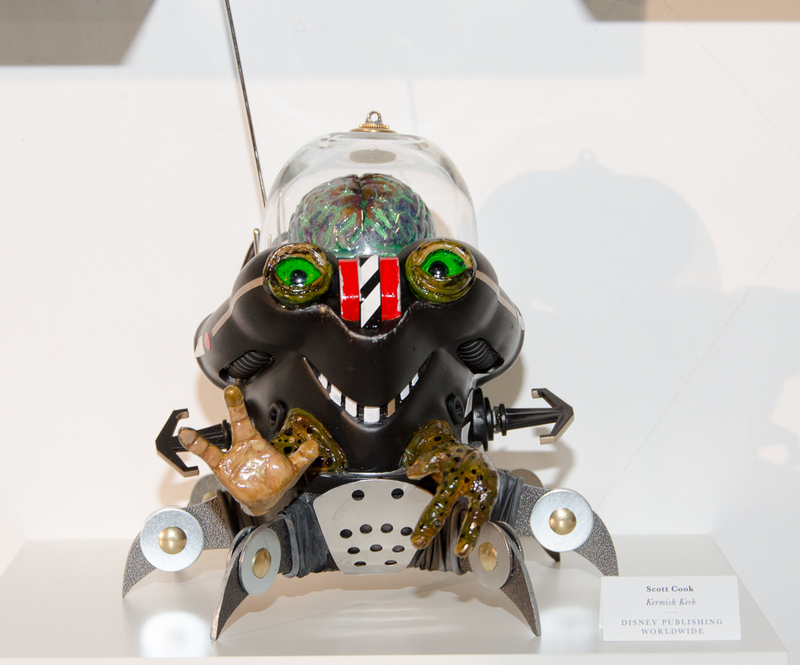 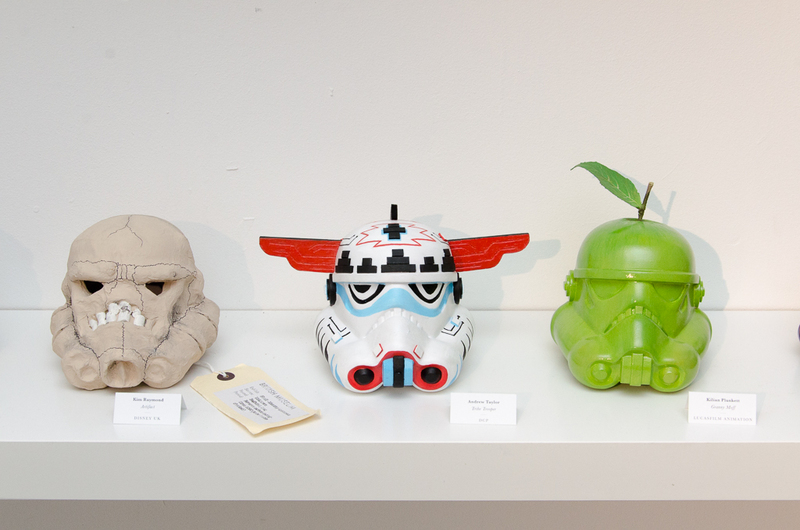 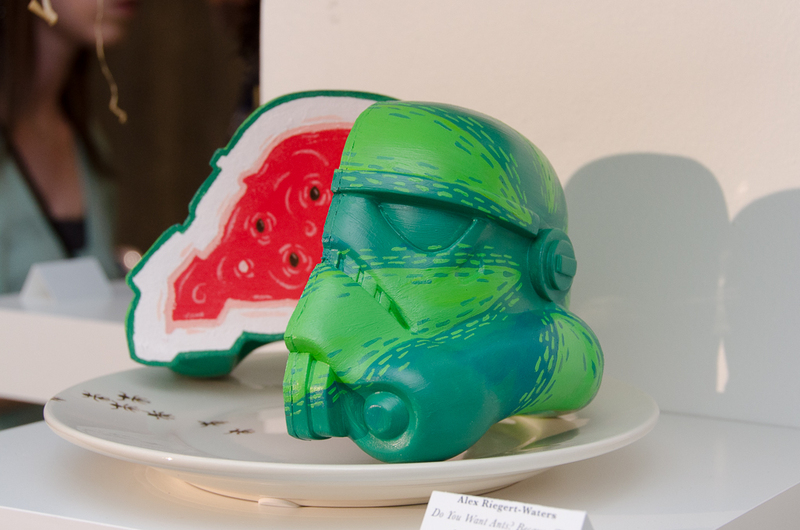 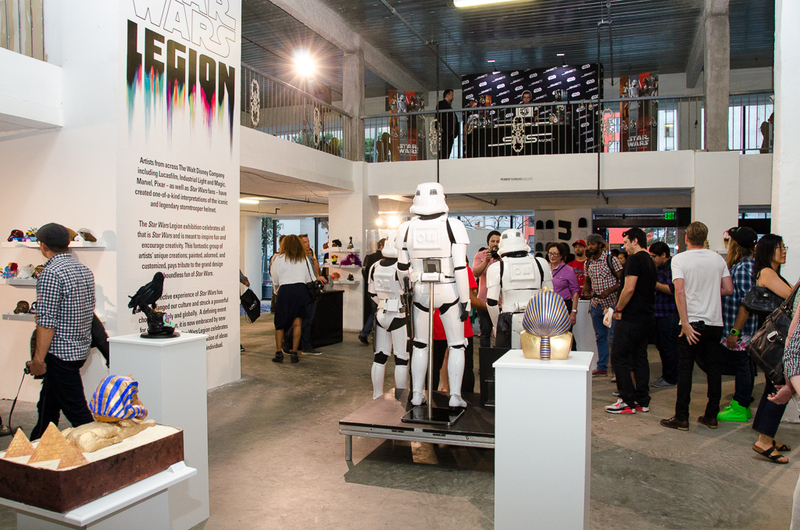 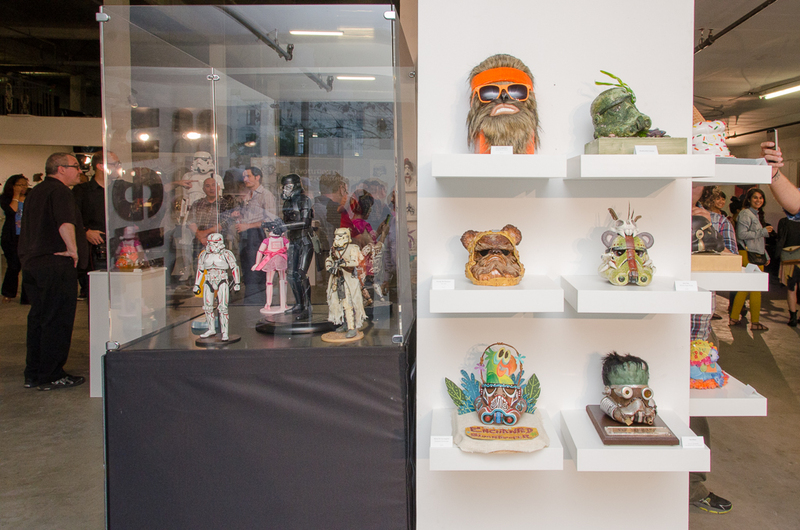 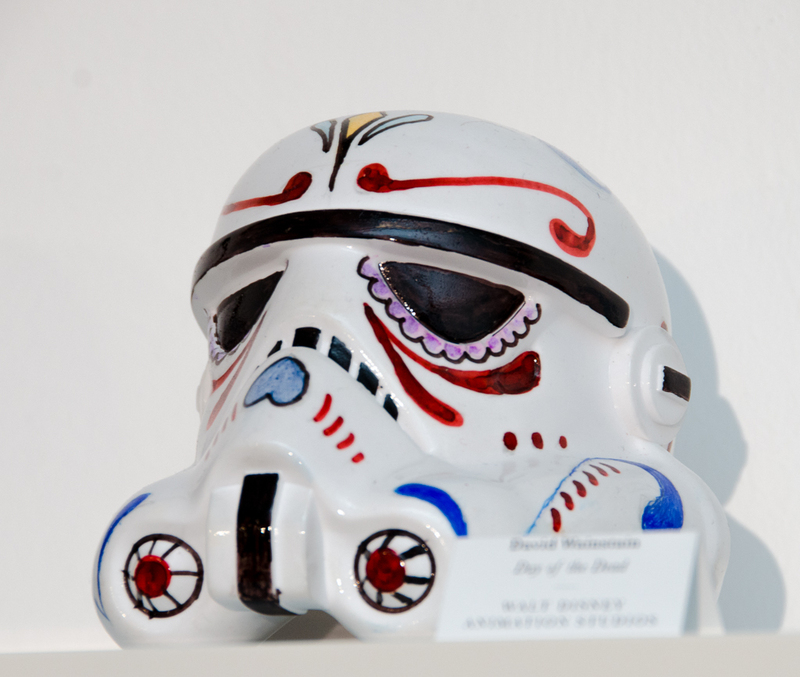 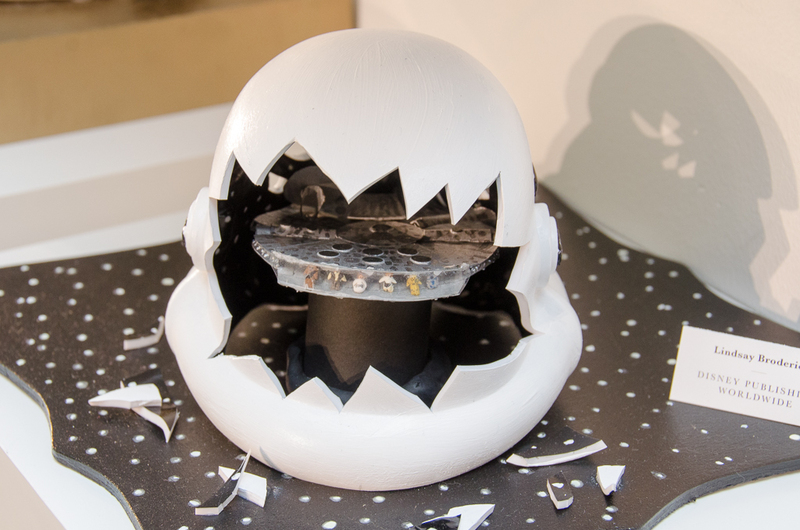 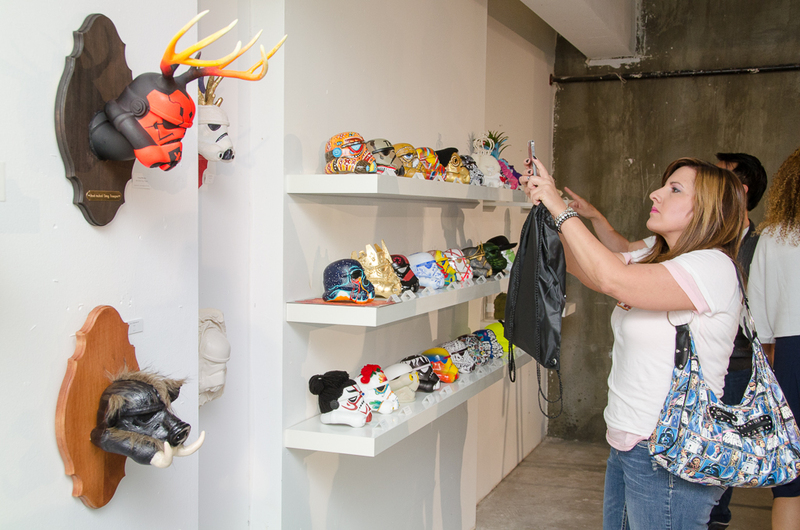 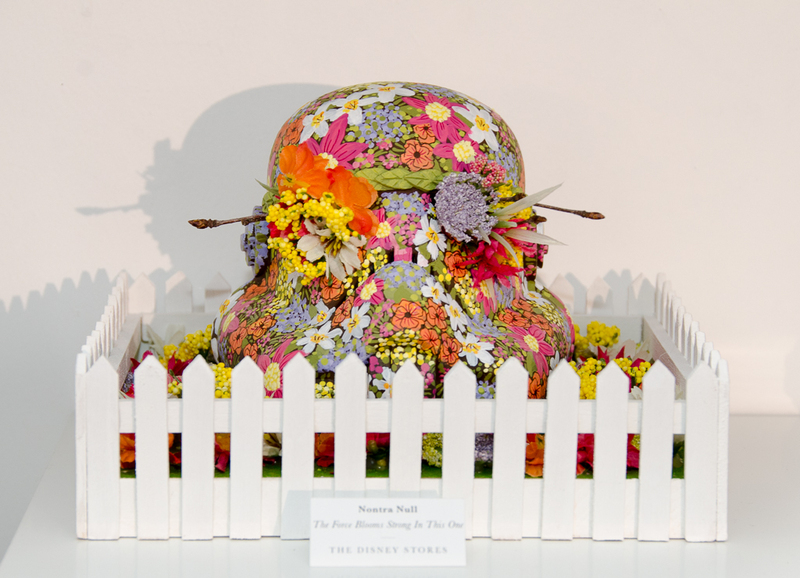 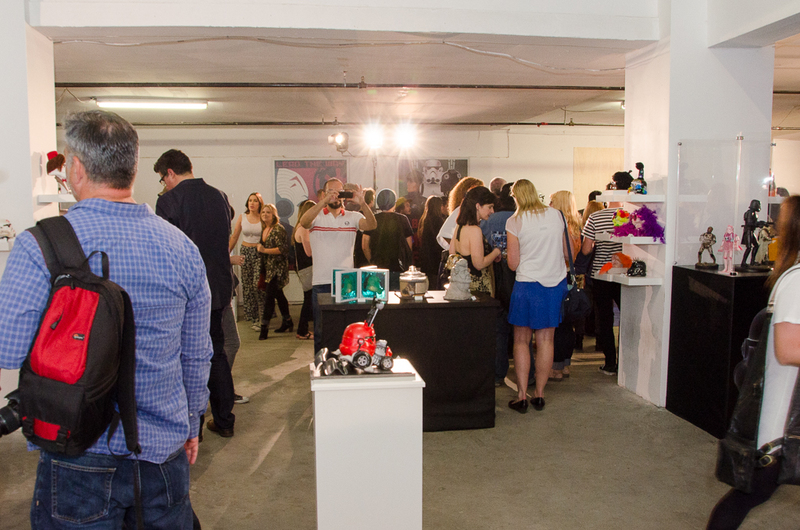 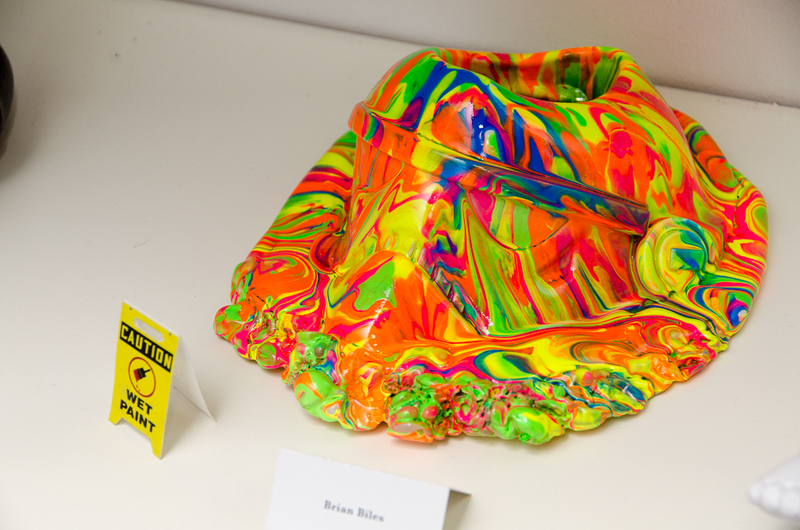 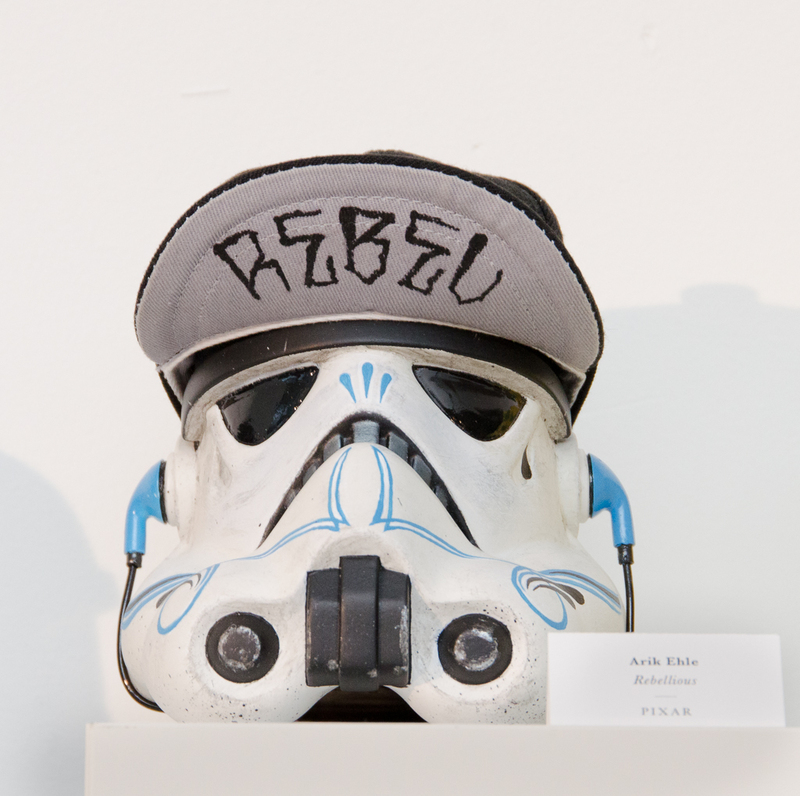 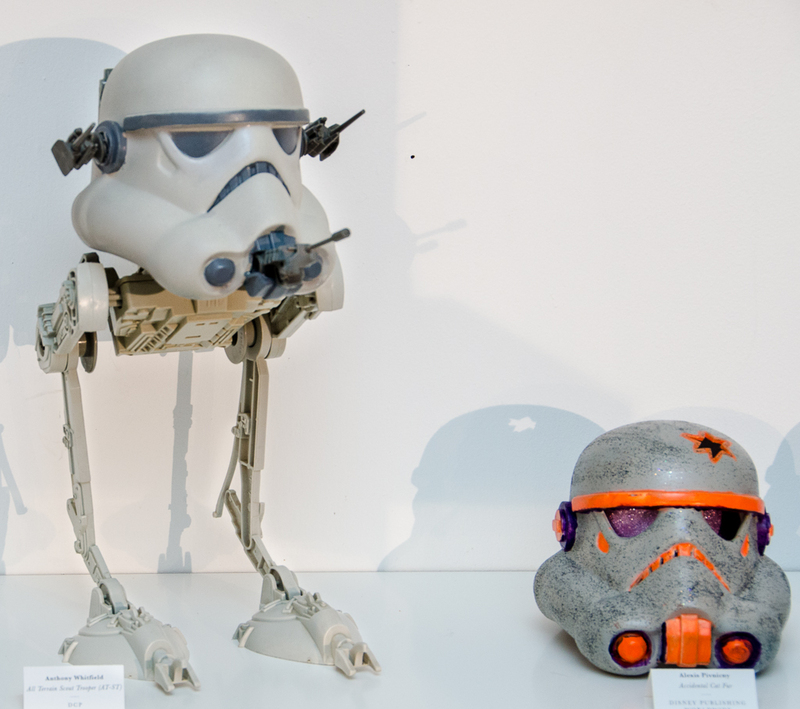 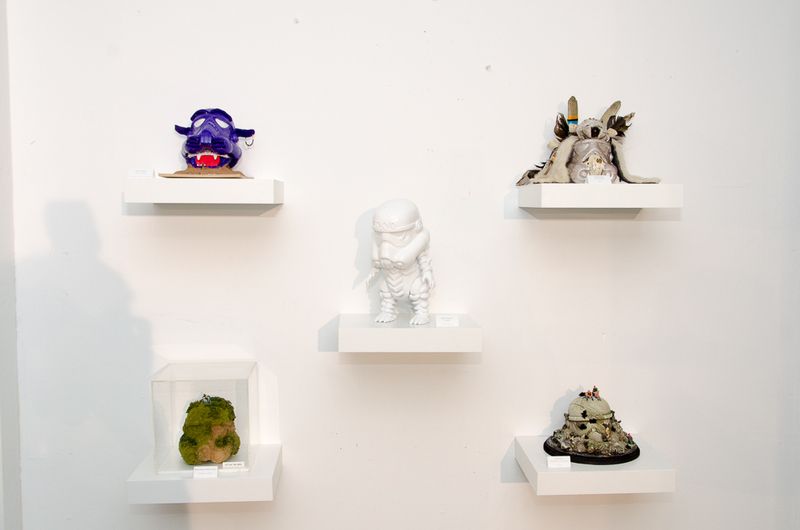 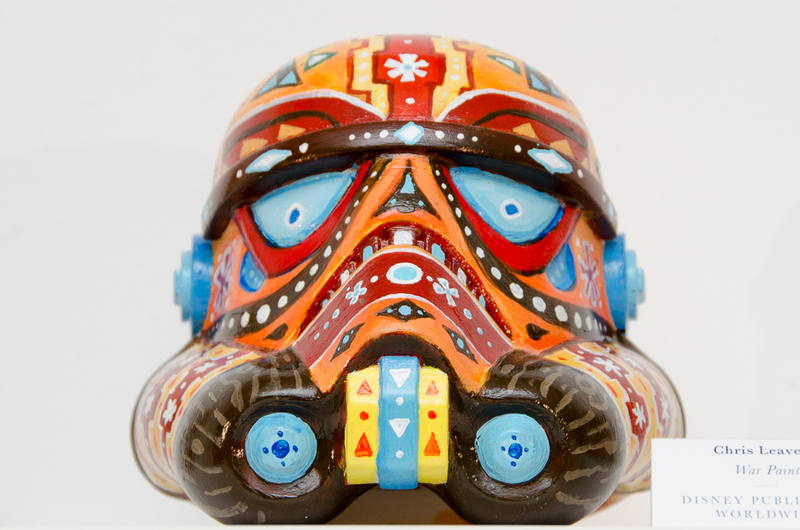 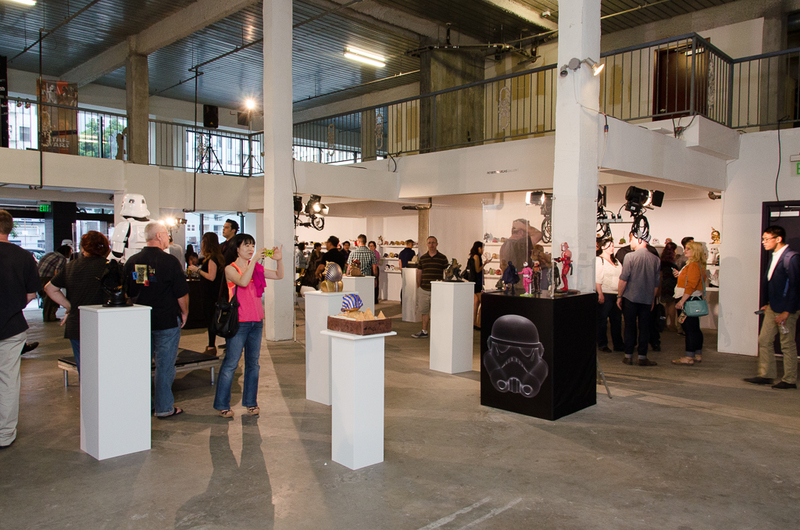 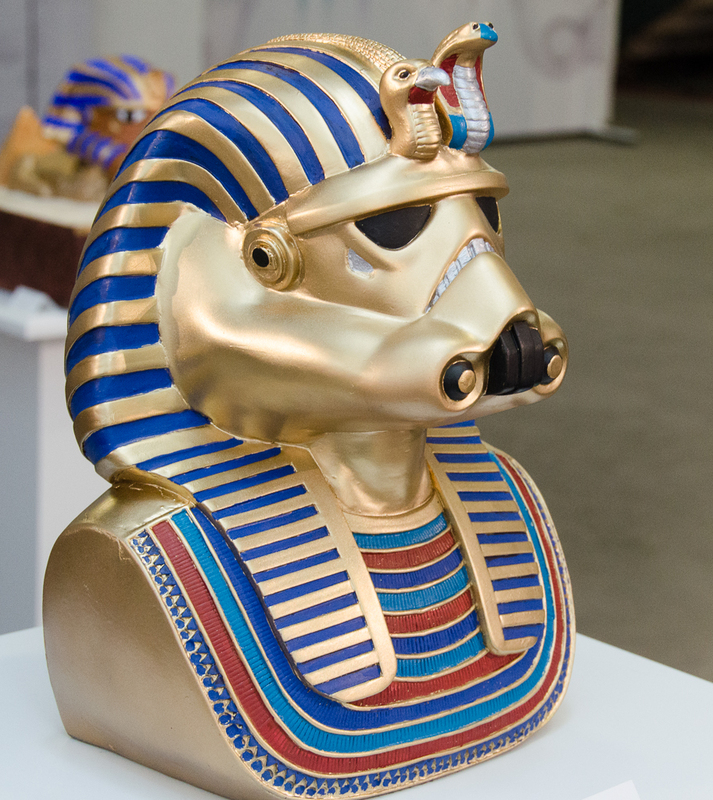 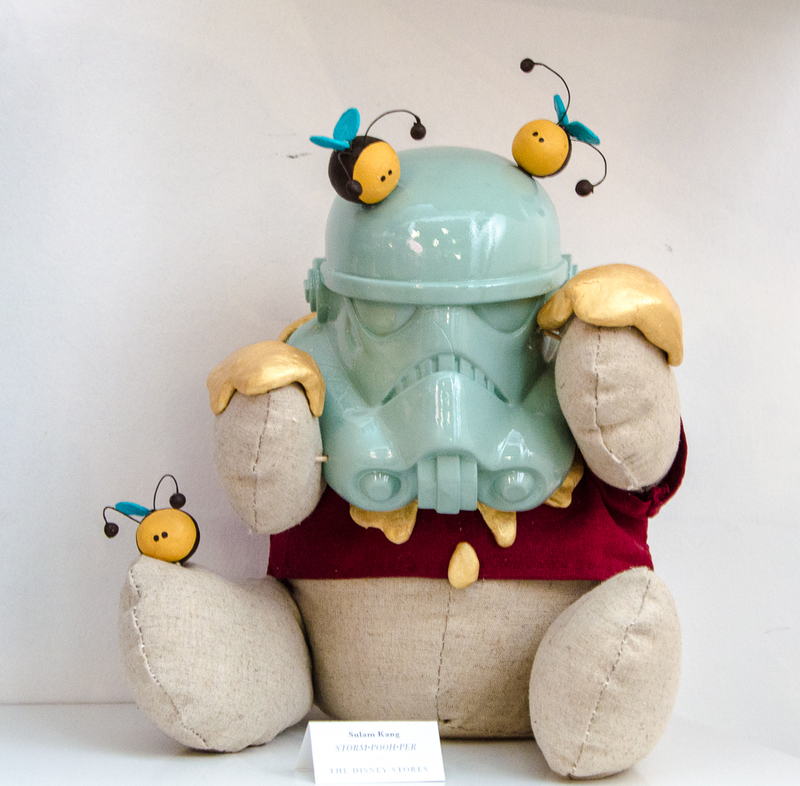 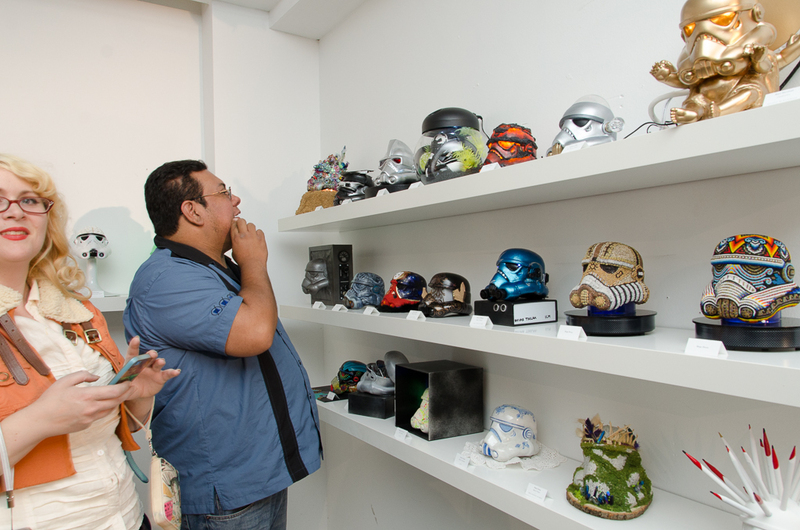 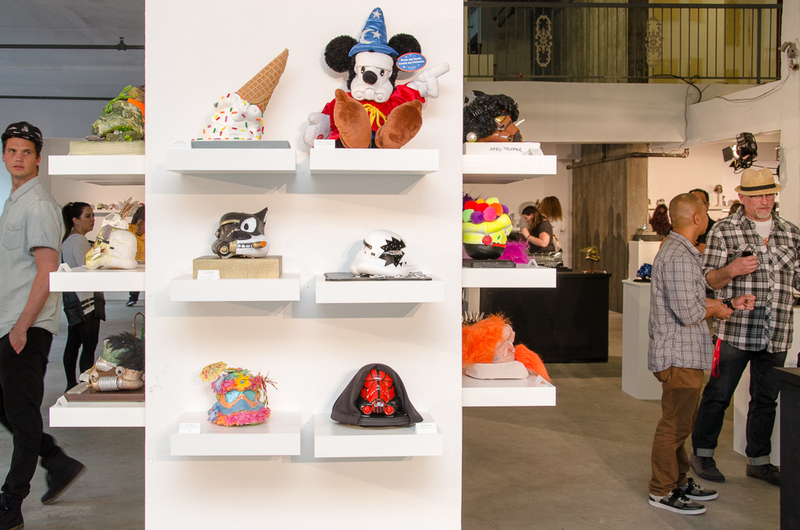 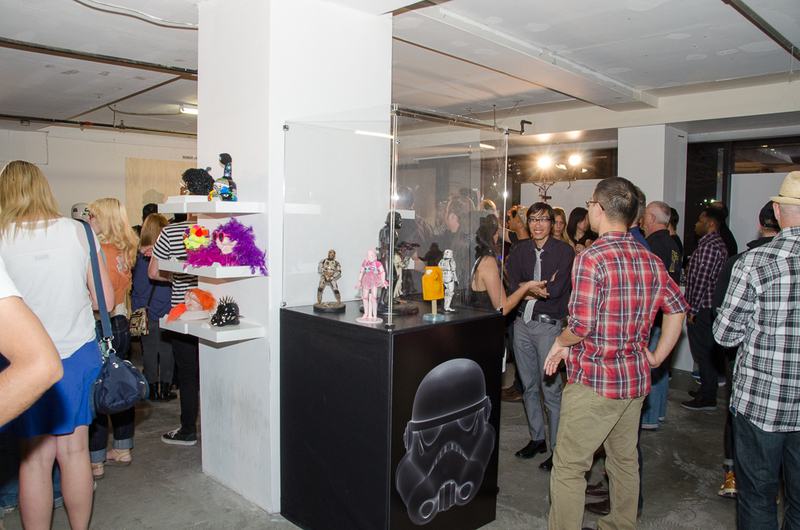 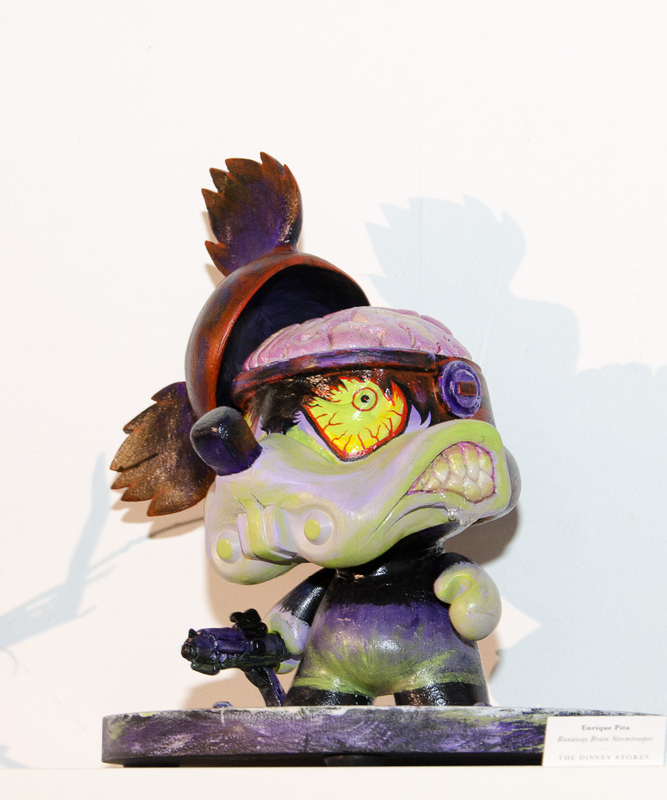 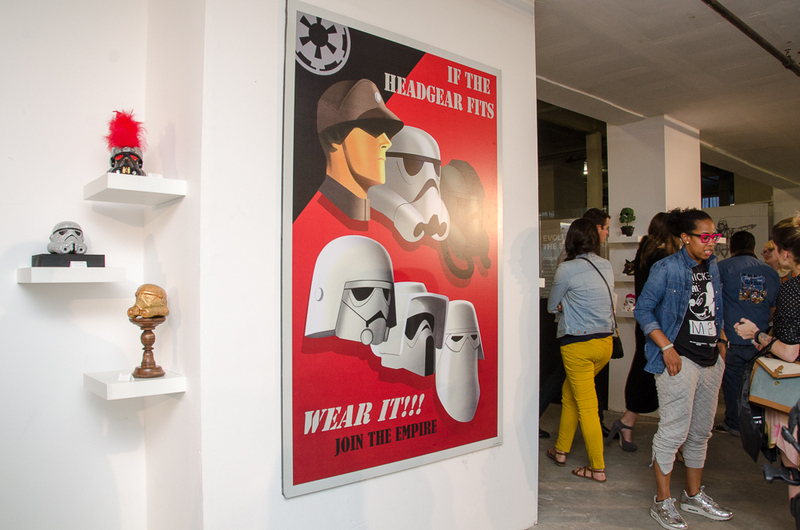 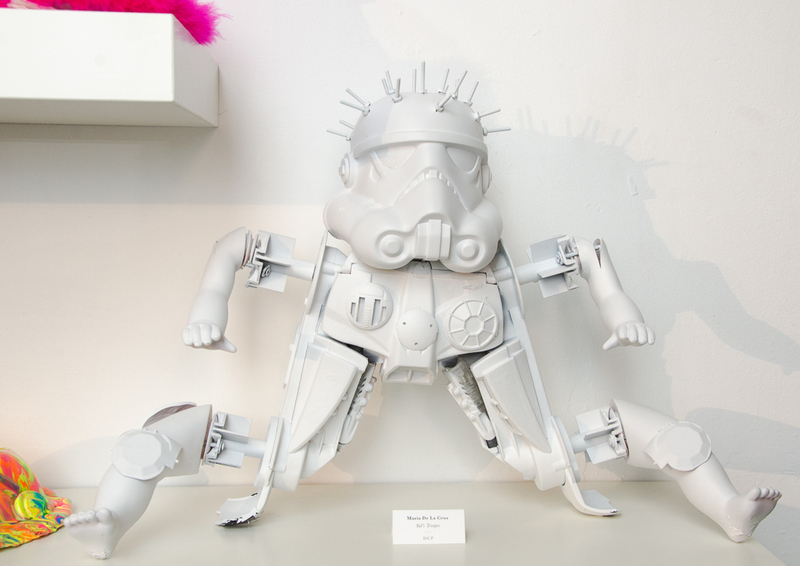 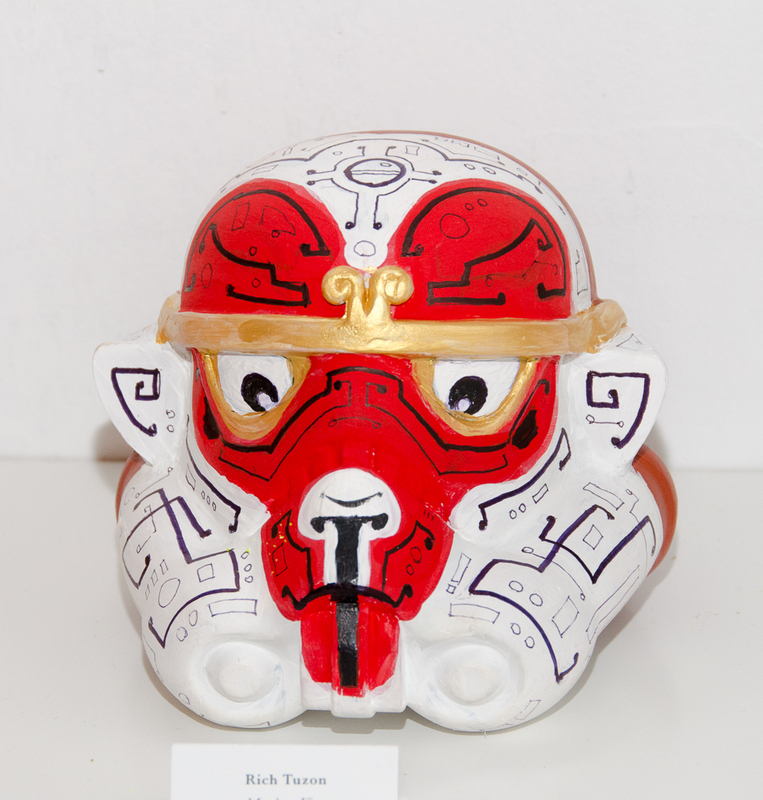 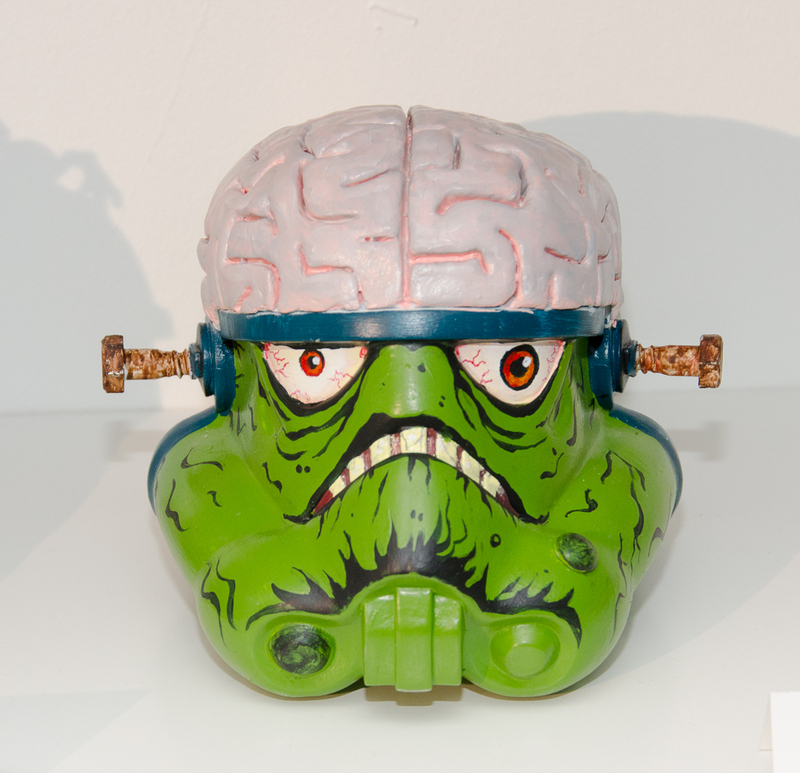 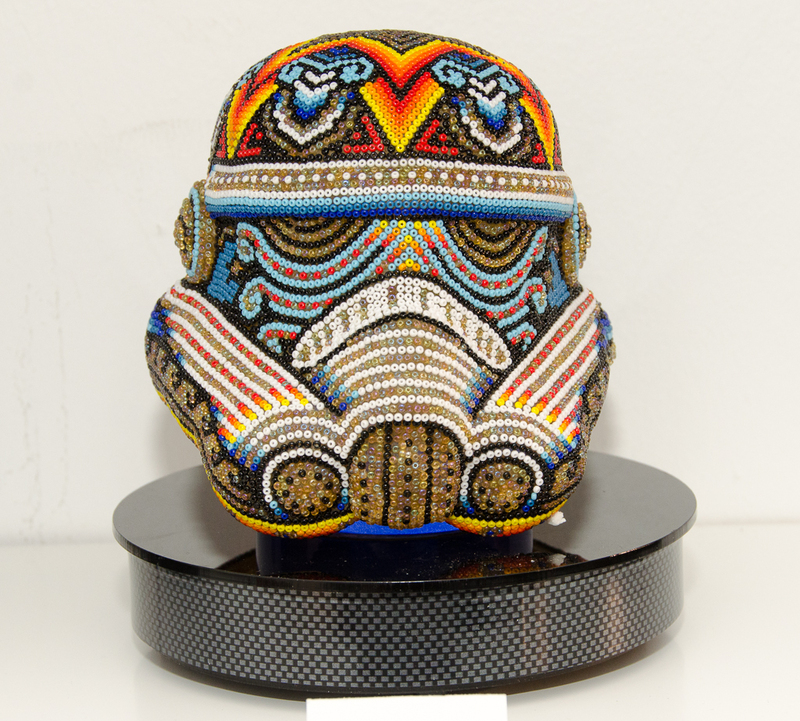 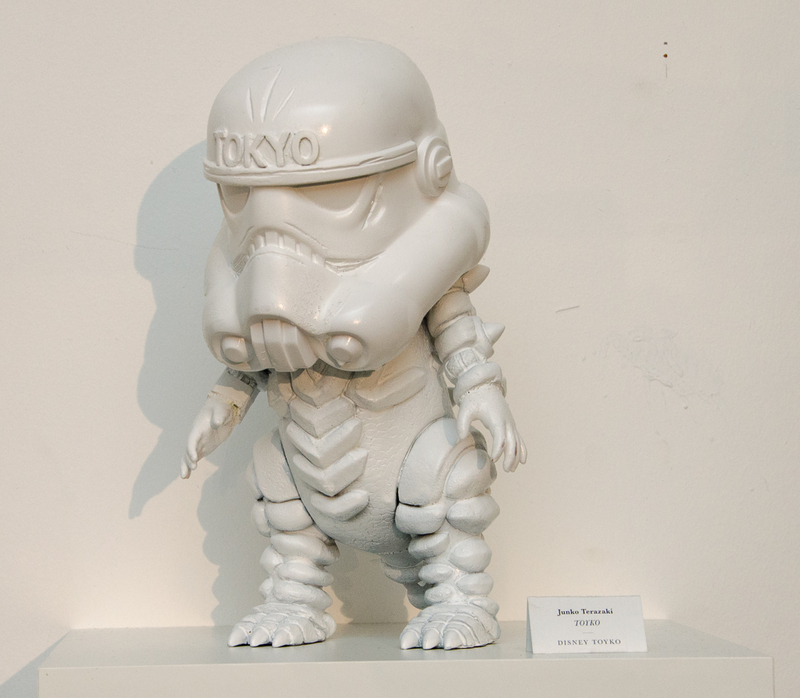 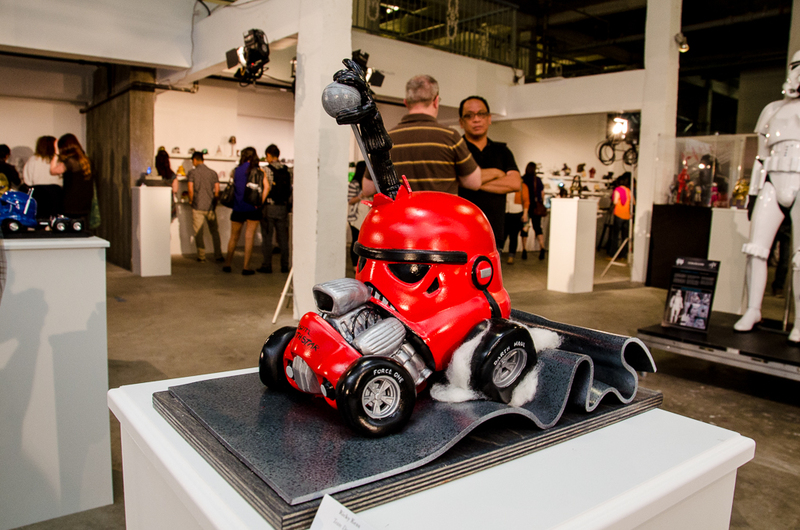 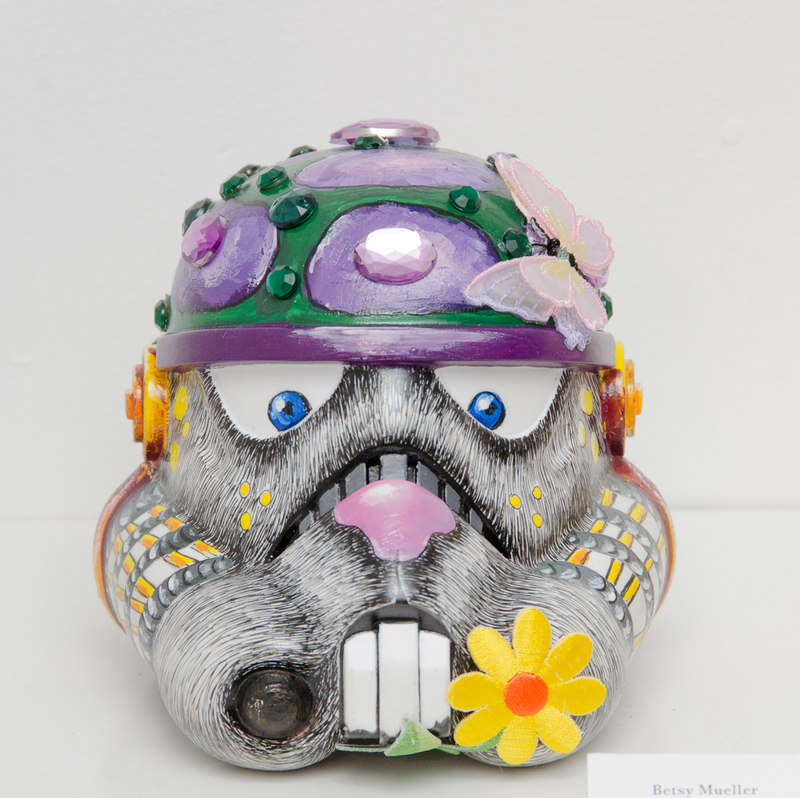 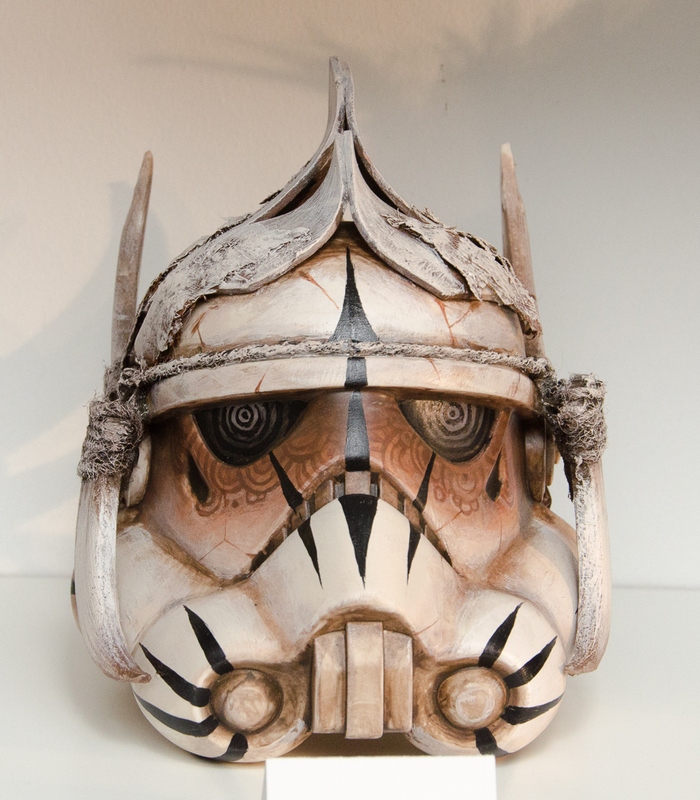 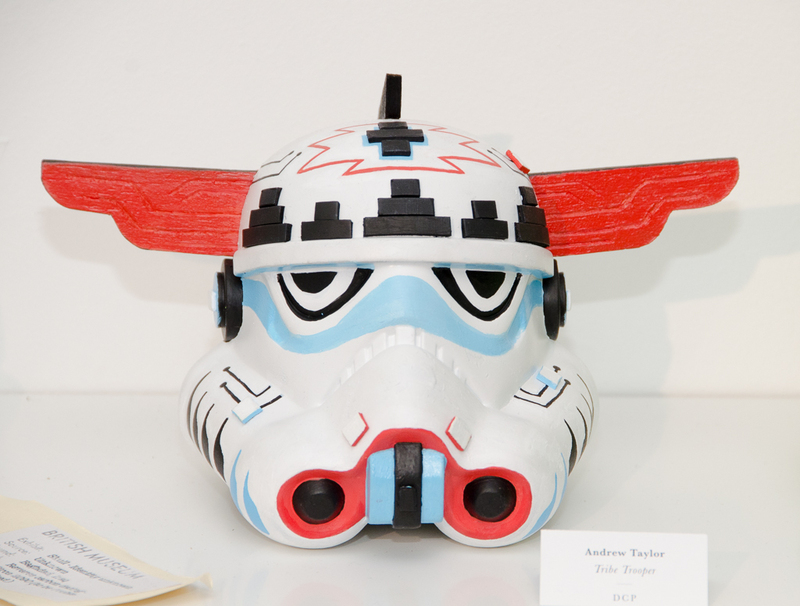 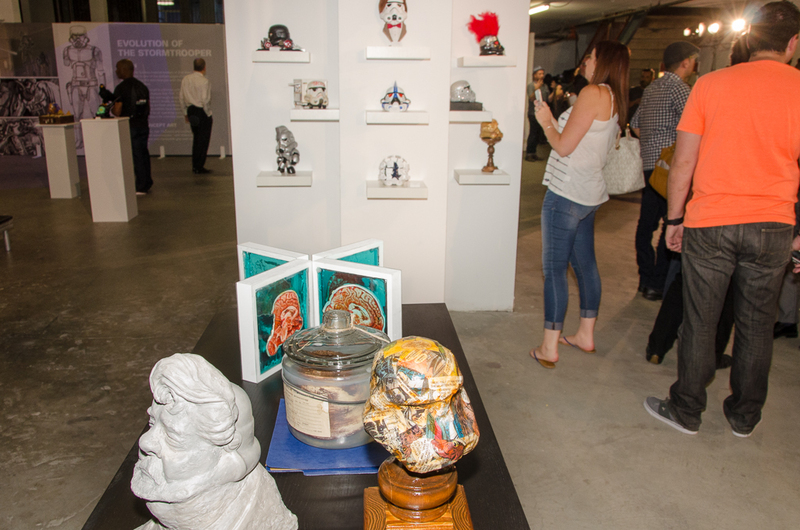 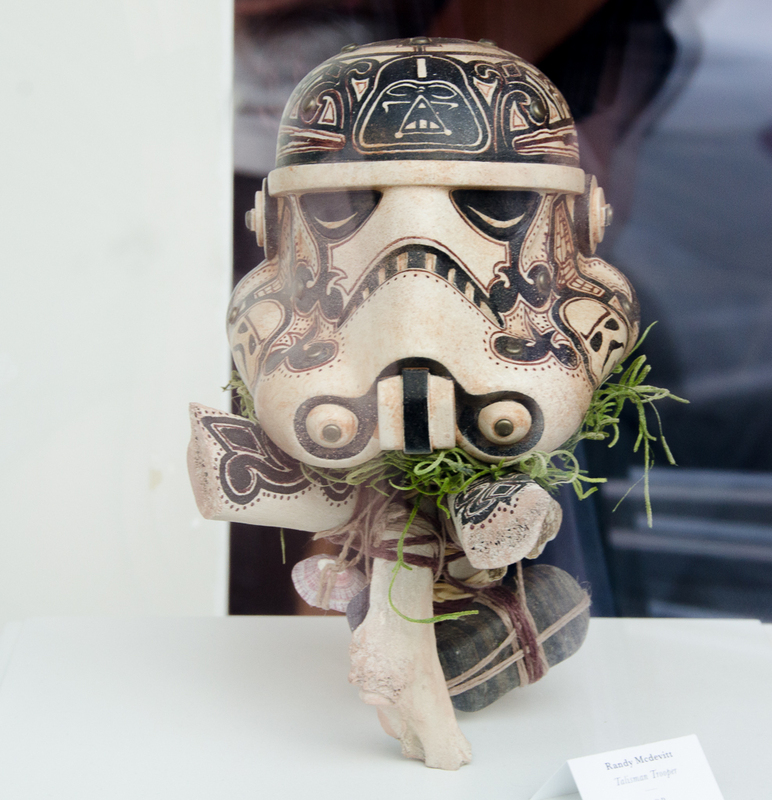 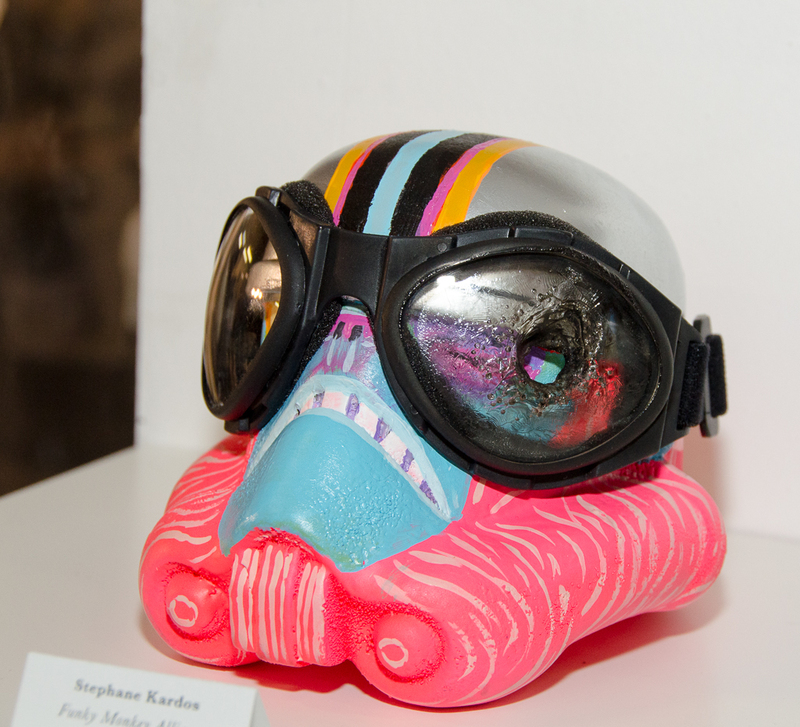 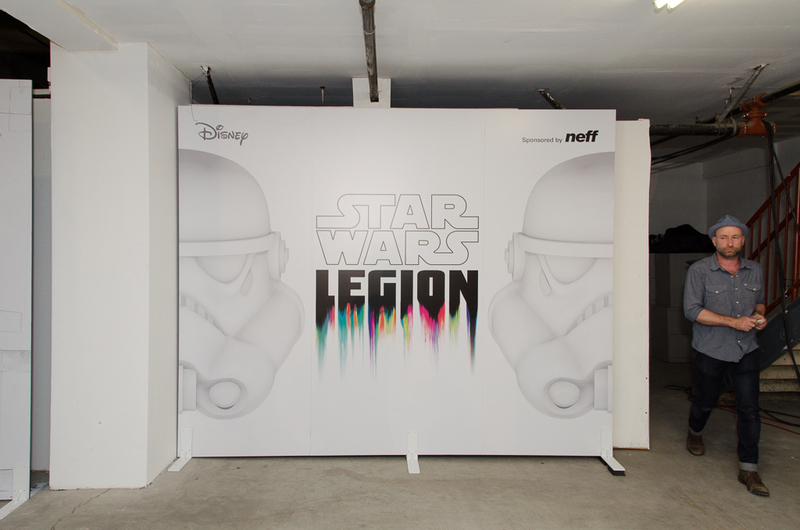 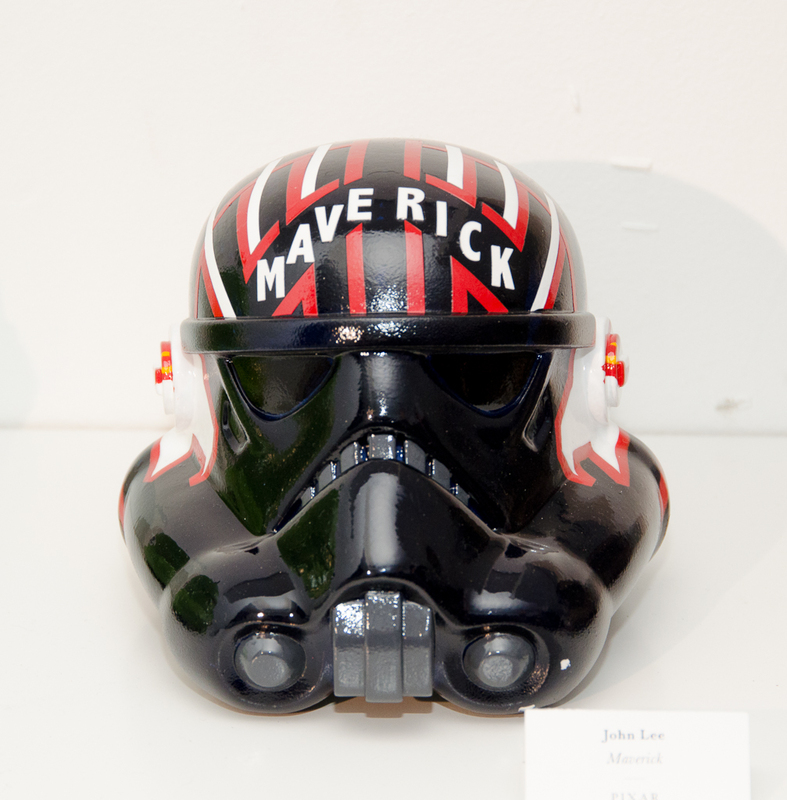 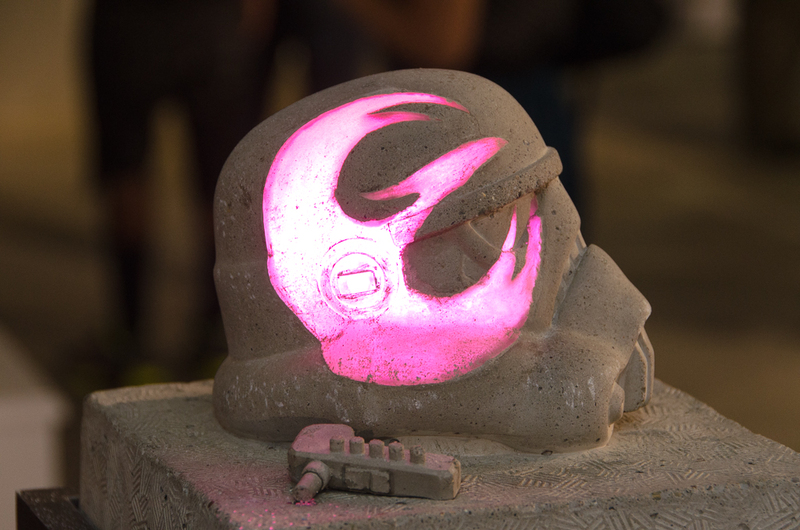 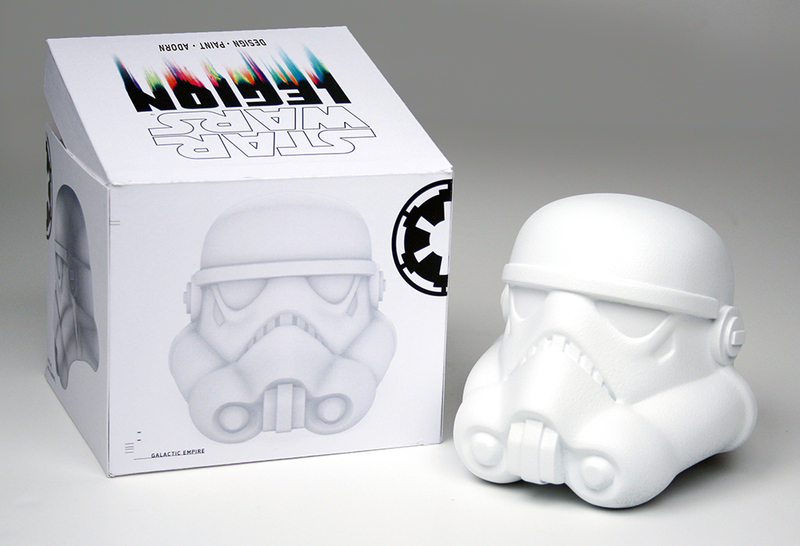 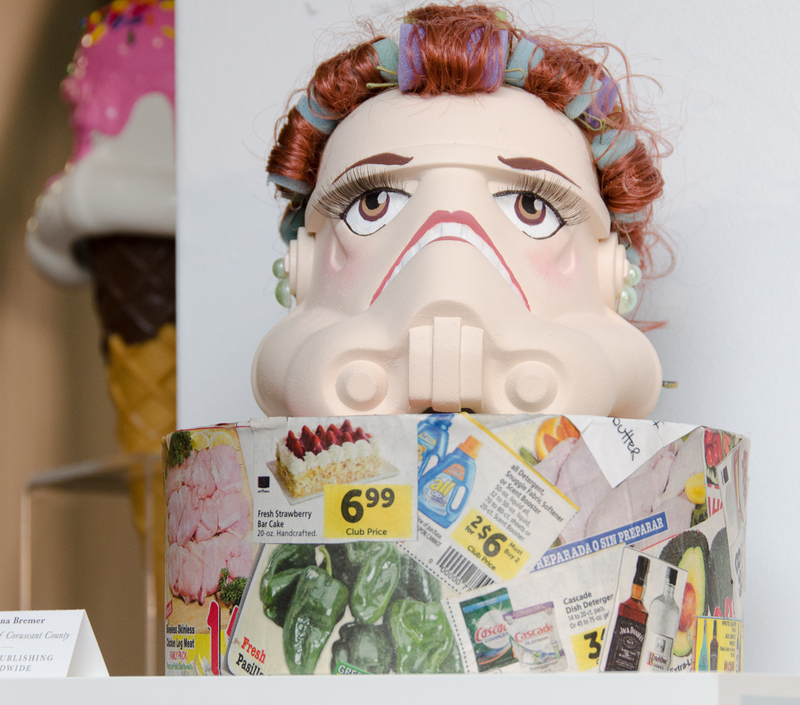 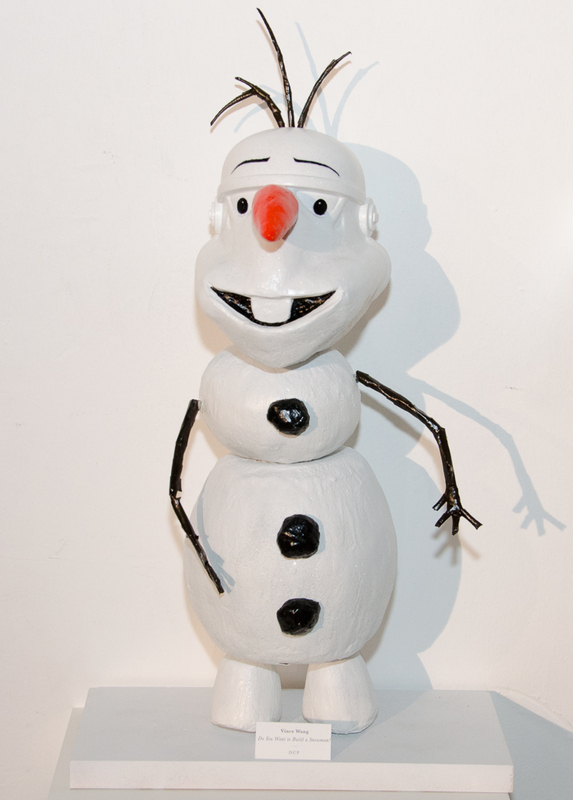 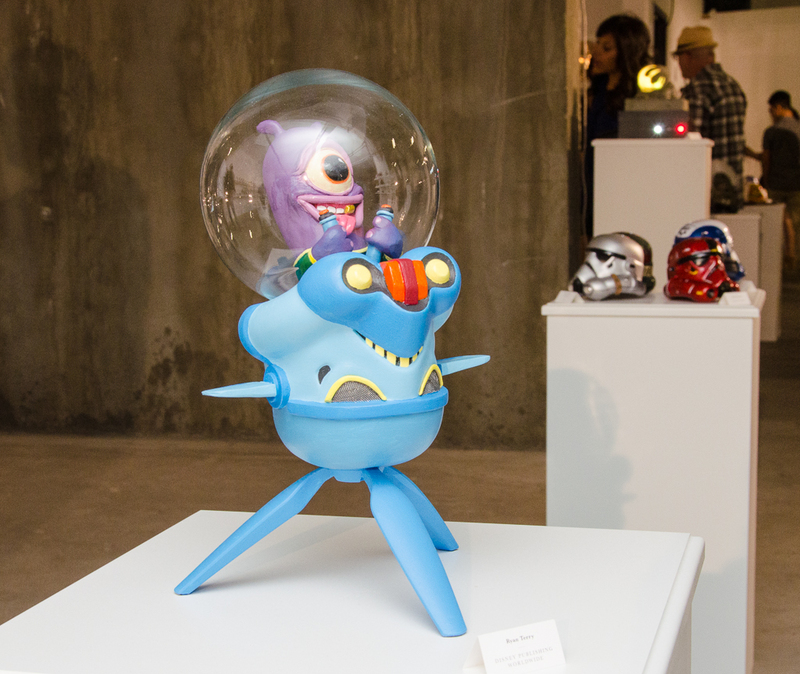 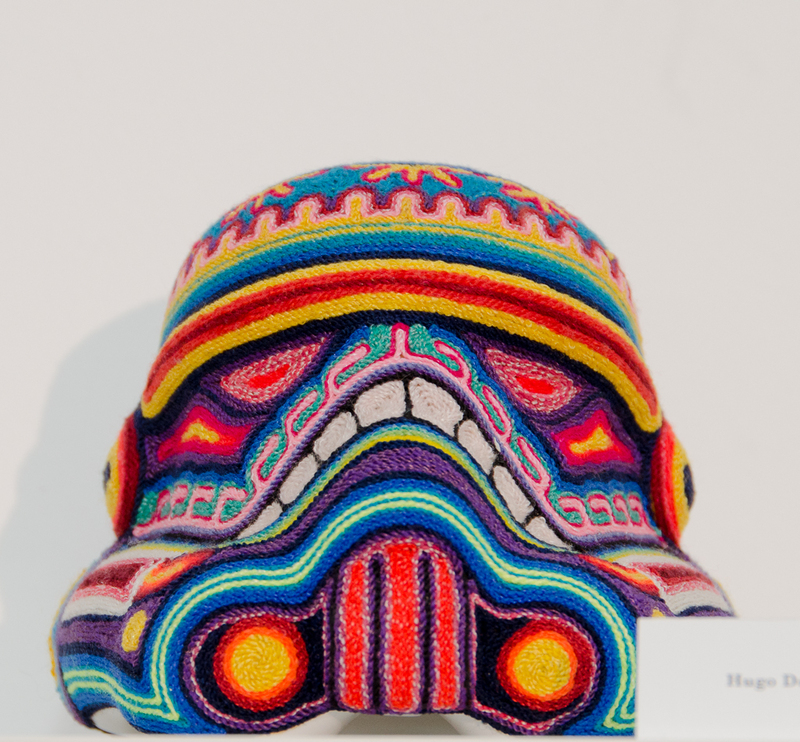 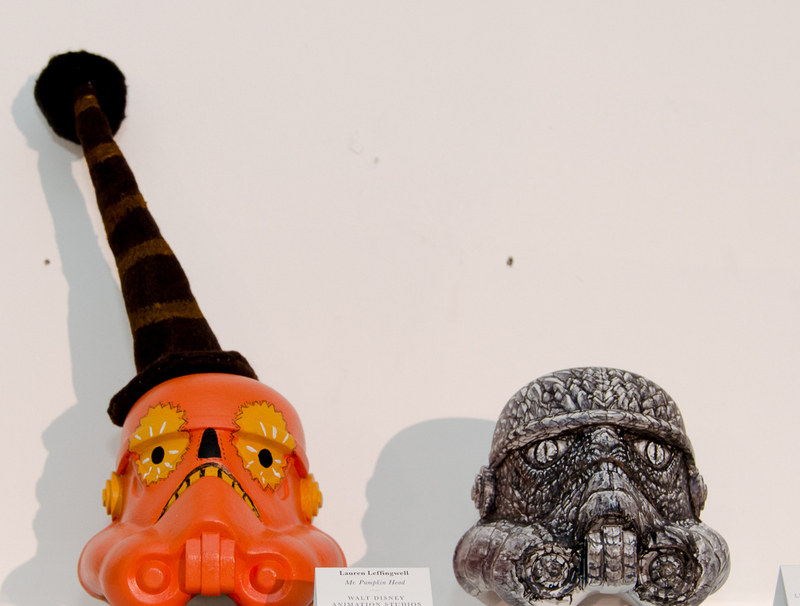 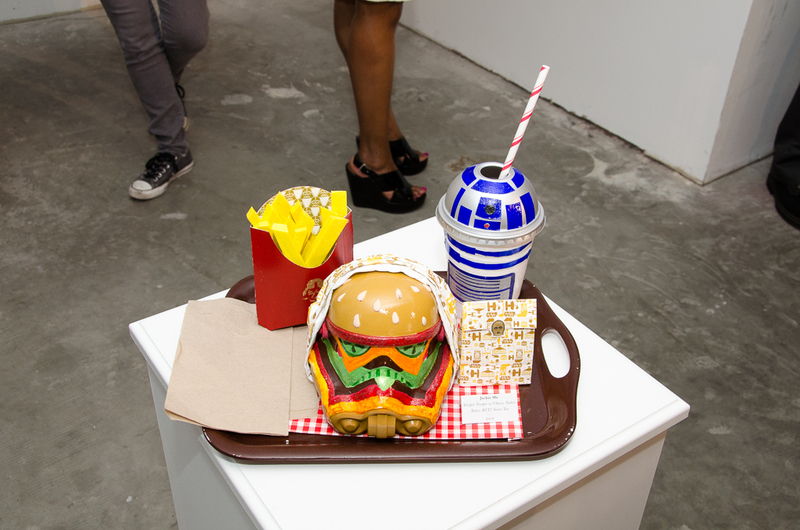 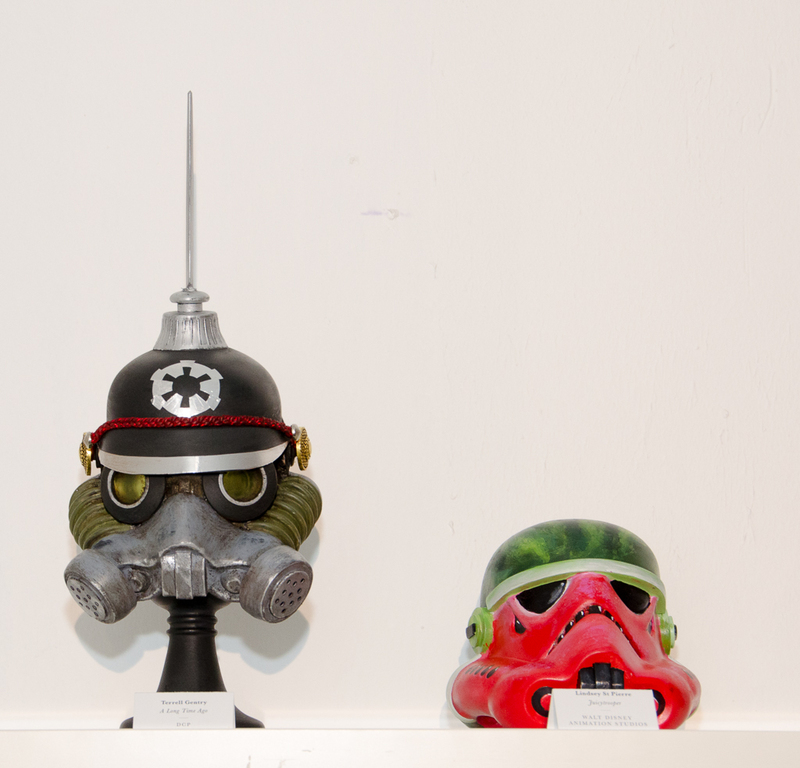 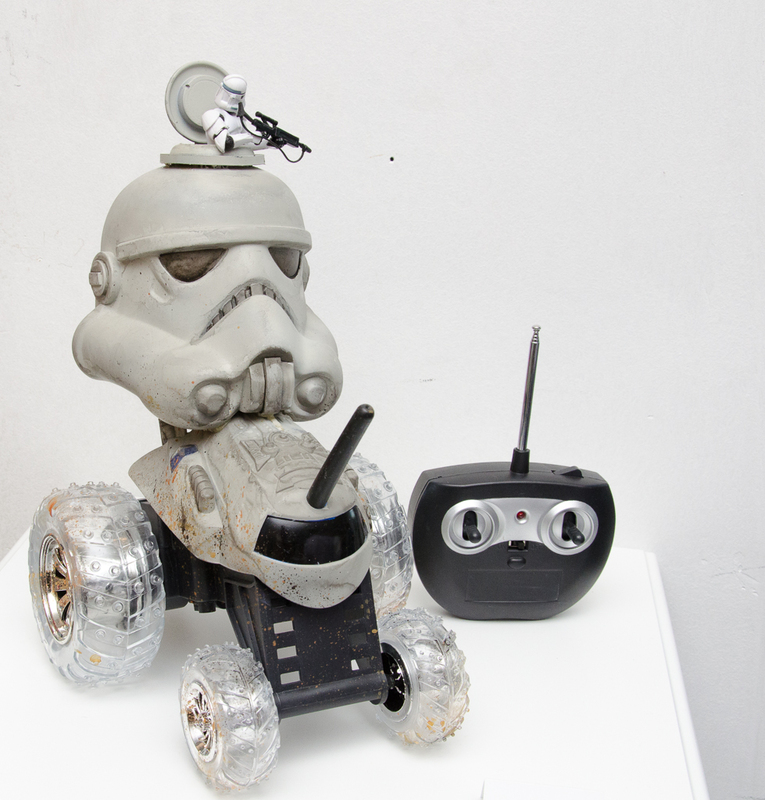 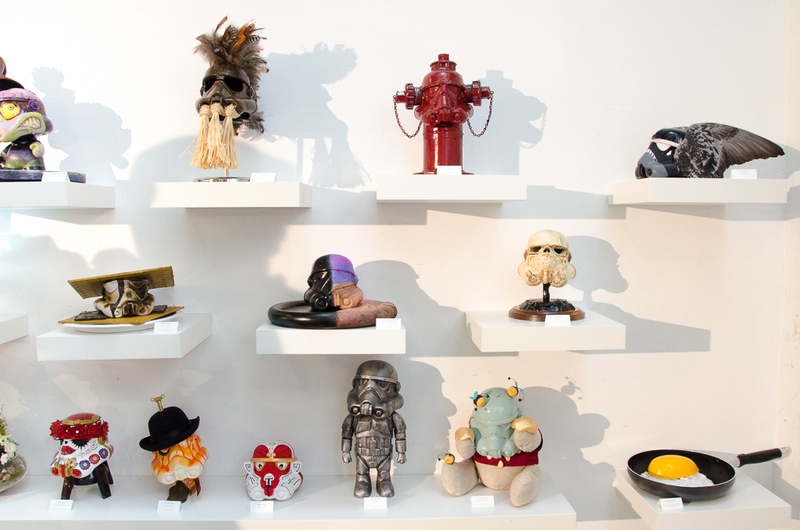 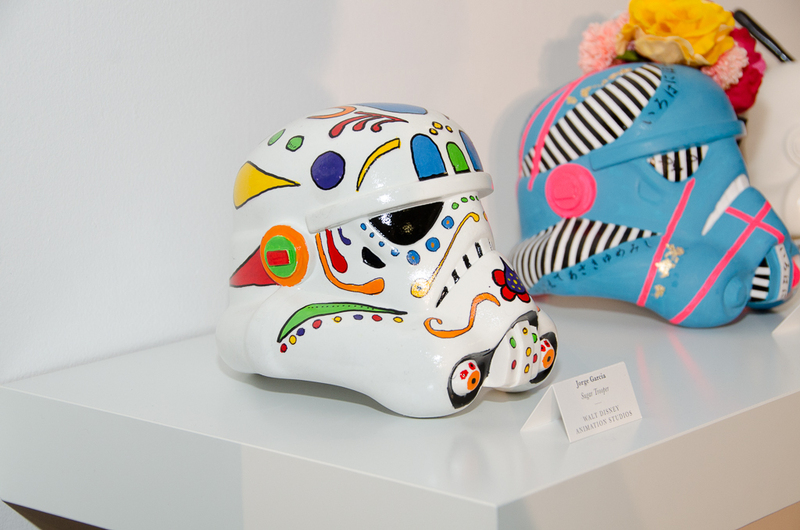 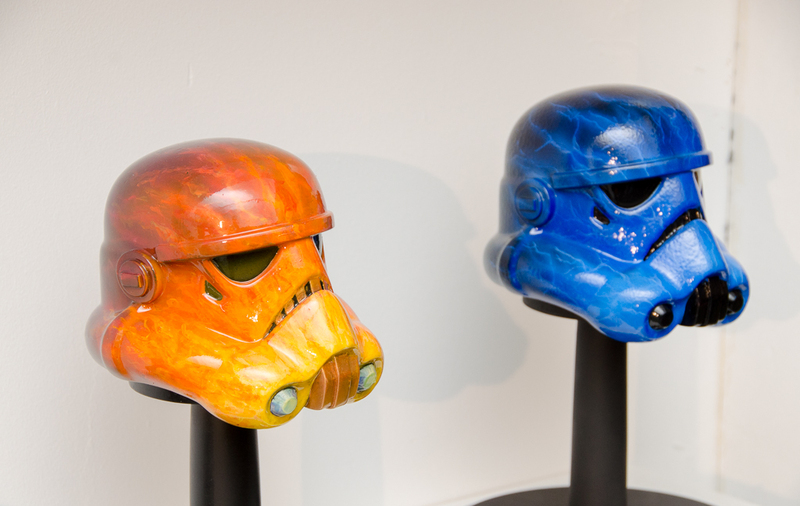 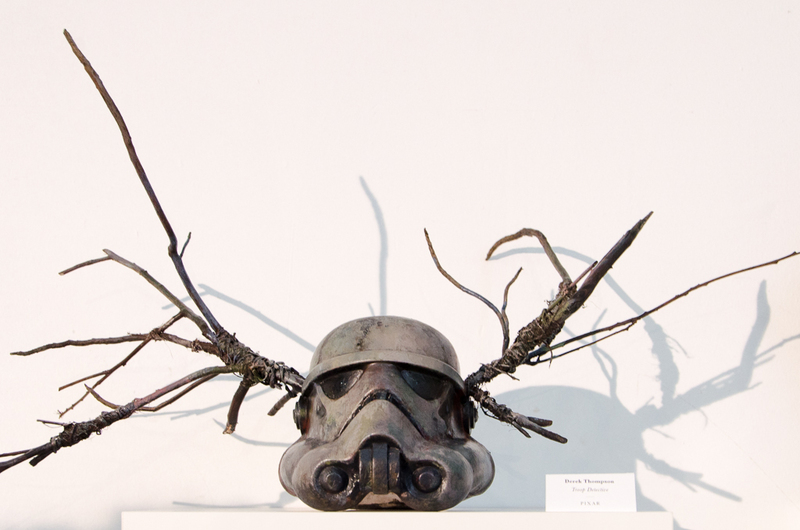 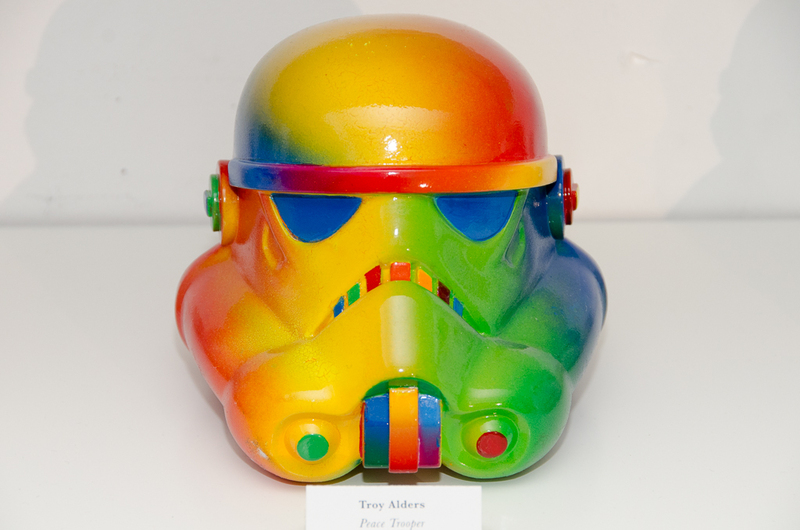 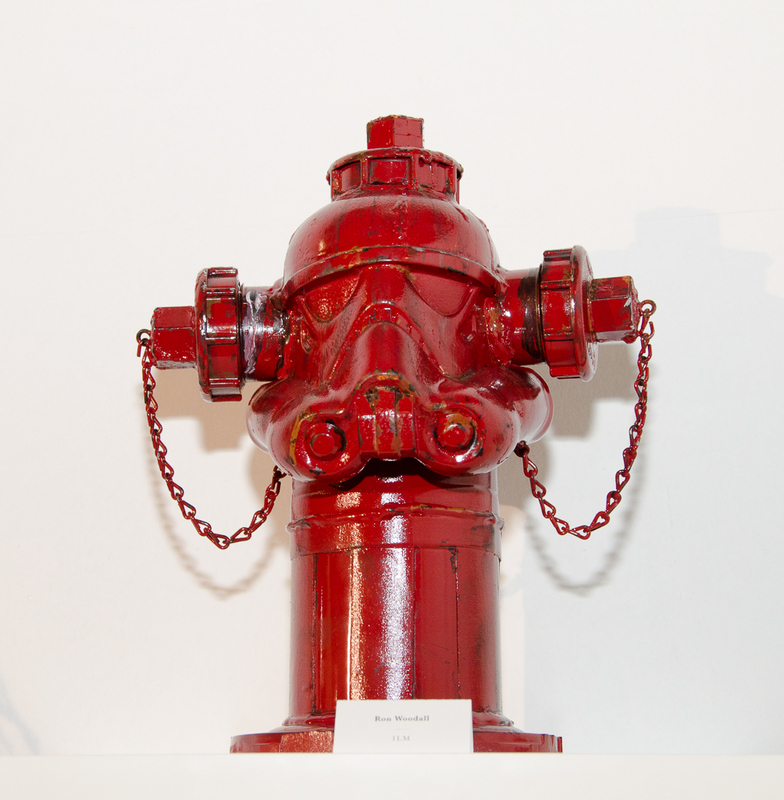 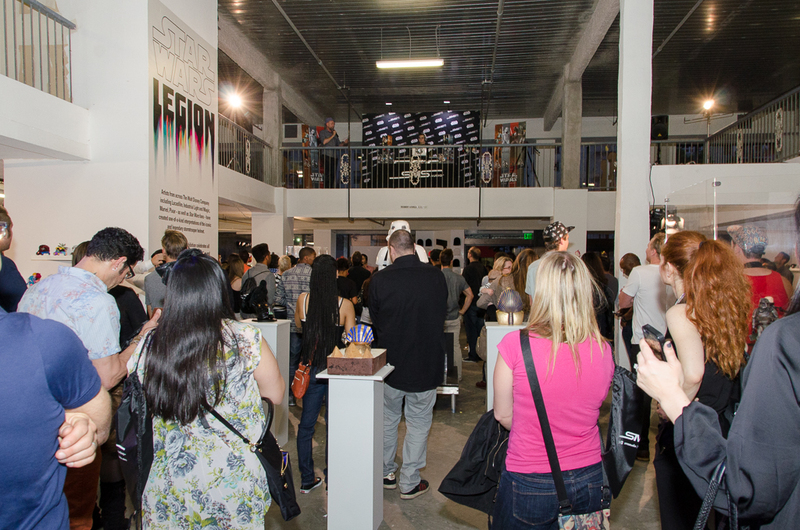 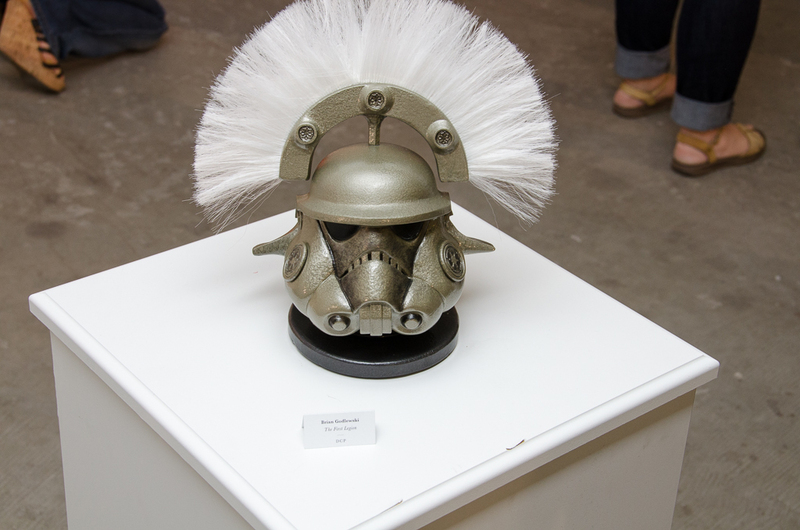 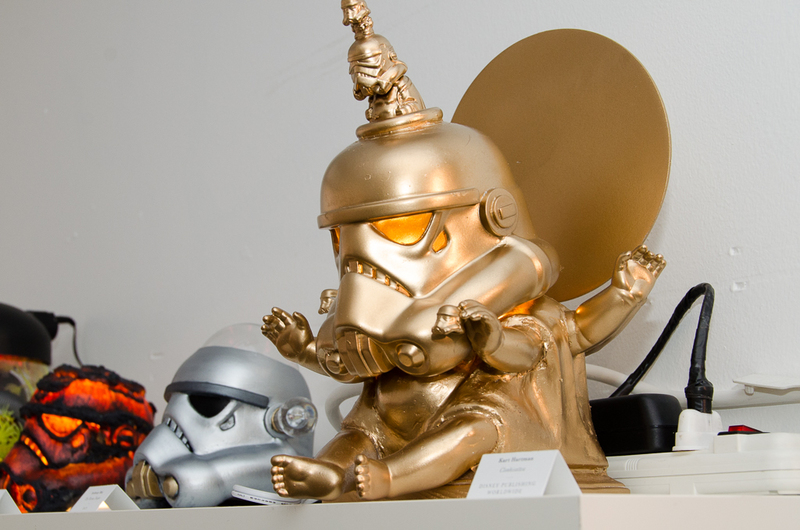 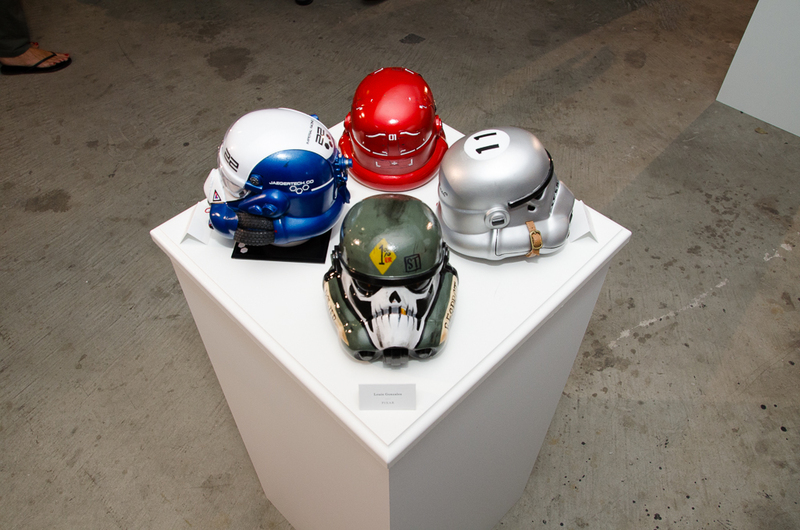 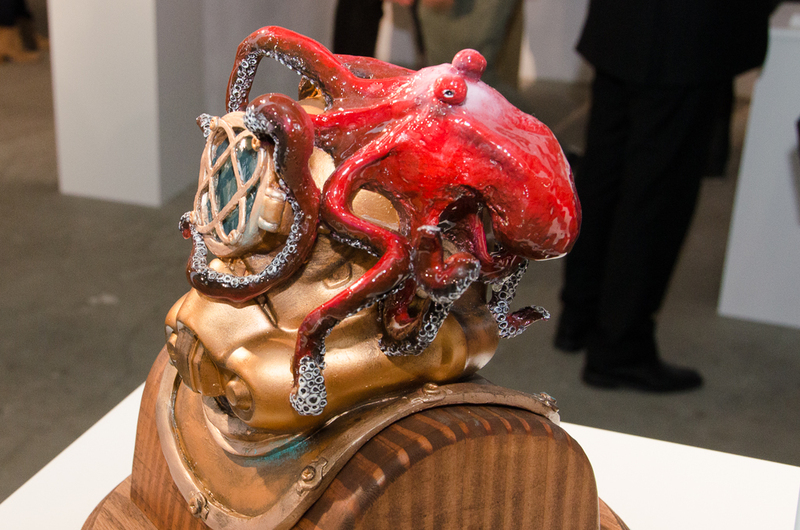 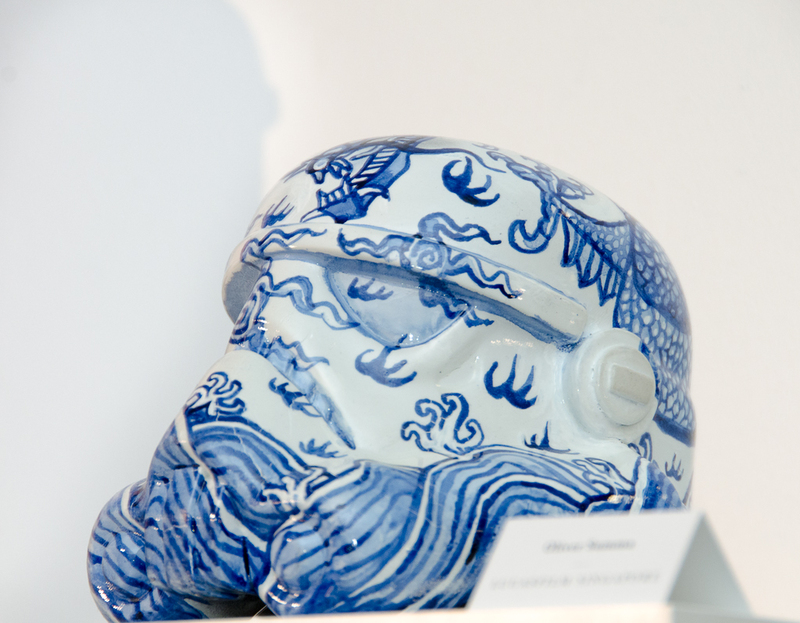 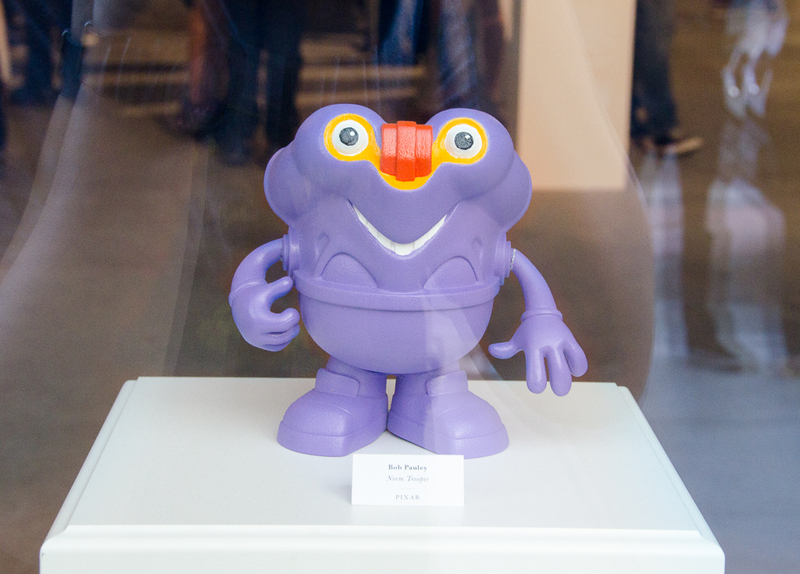 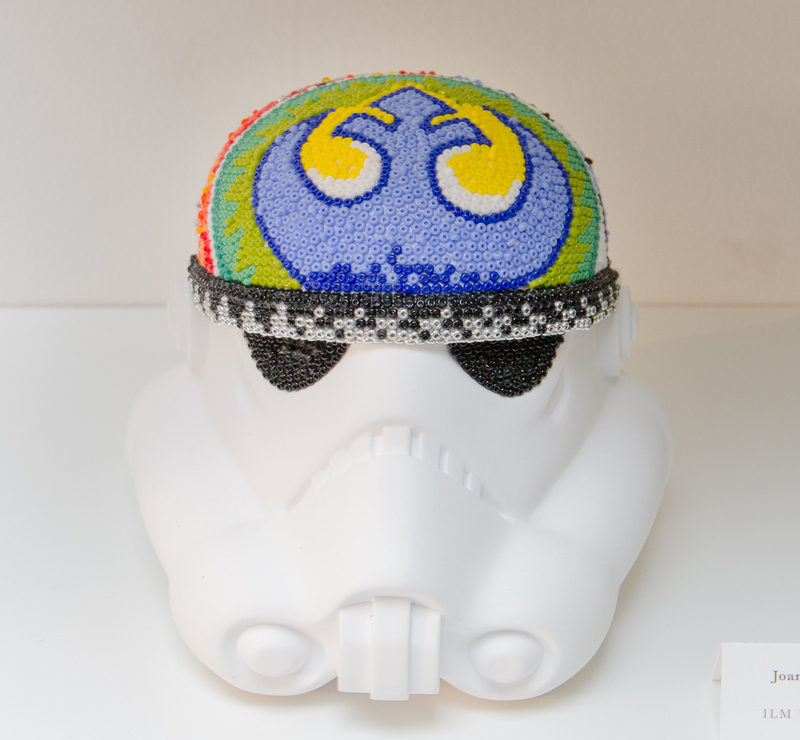 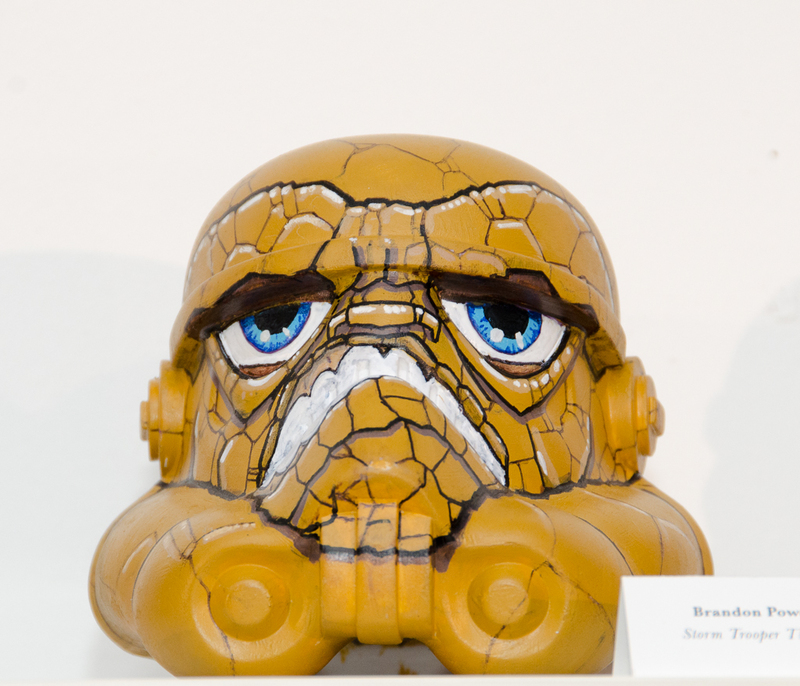 The show features hundreds of mini Stormtrooper helmets customized by artists from various Disney divisions and street artists selected by Neff. 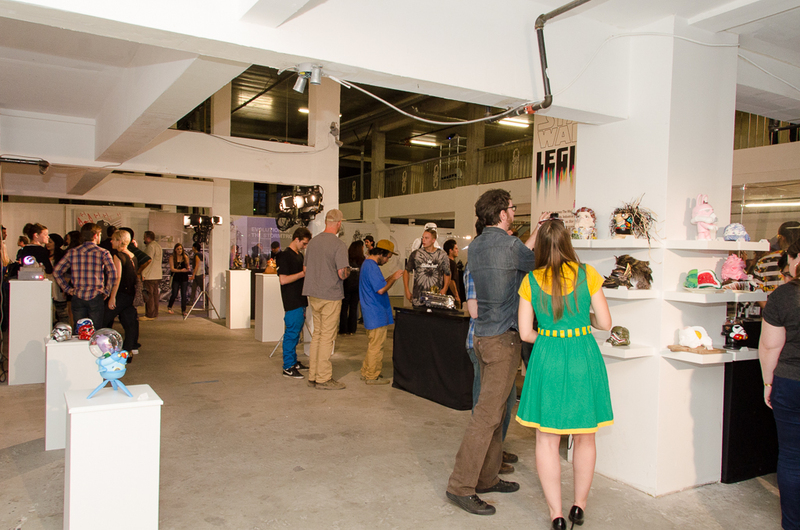 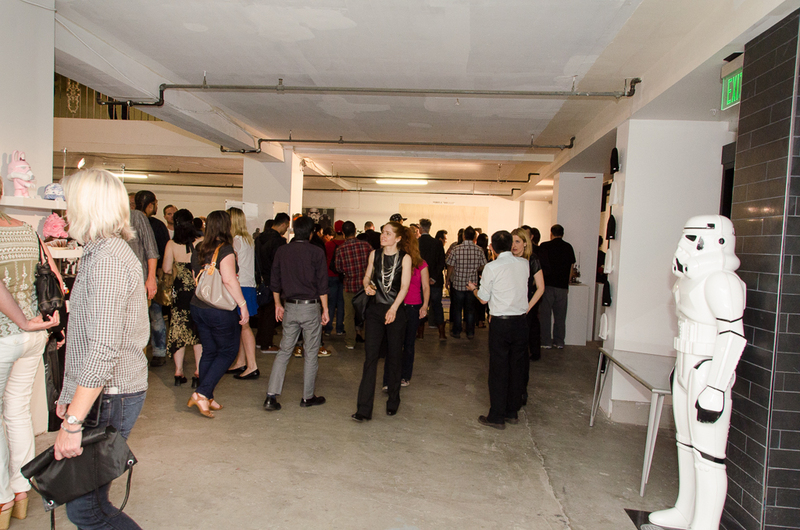 Vinyl Pulse checked out the exhibition on Thursday during the Artists Reception. 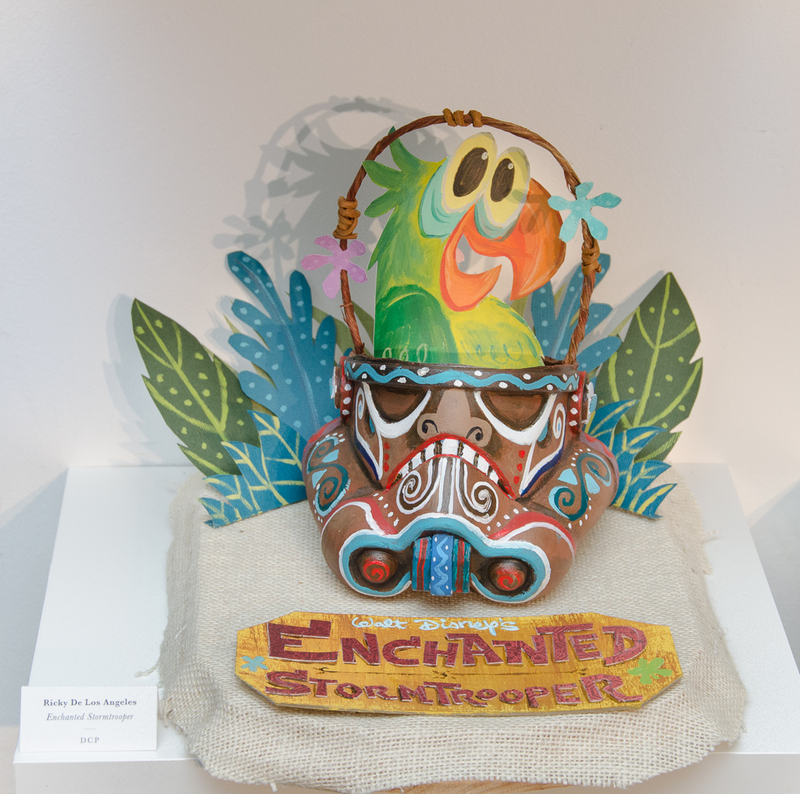 We were impressed with the imagination and creativity on display. 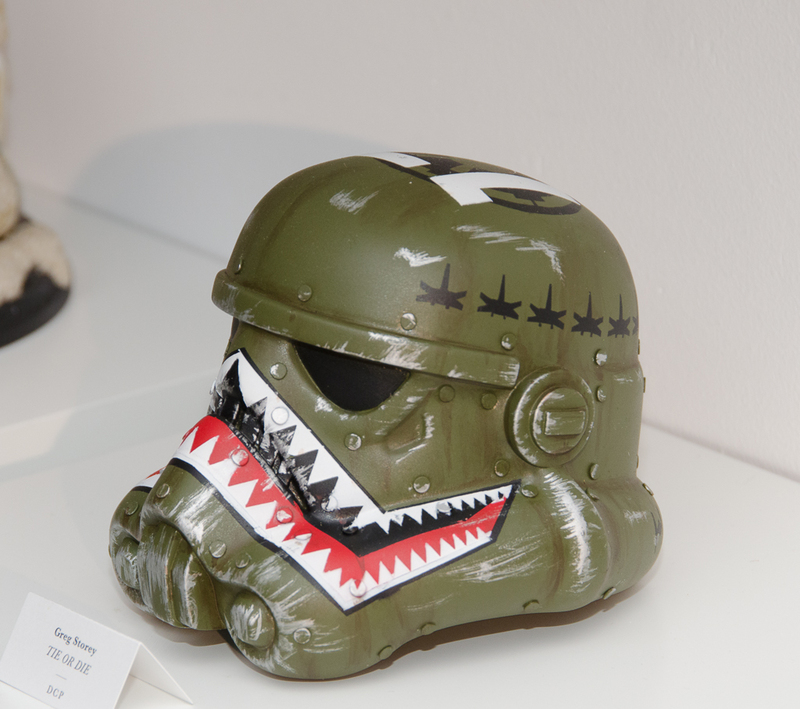 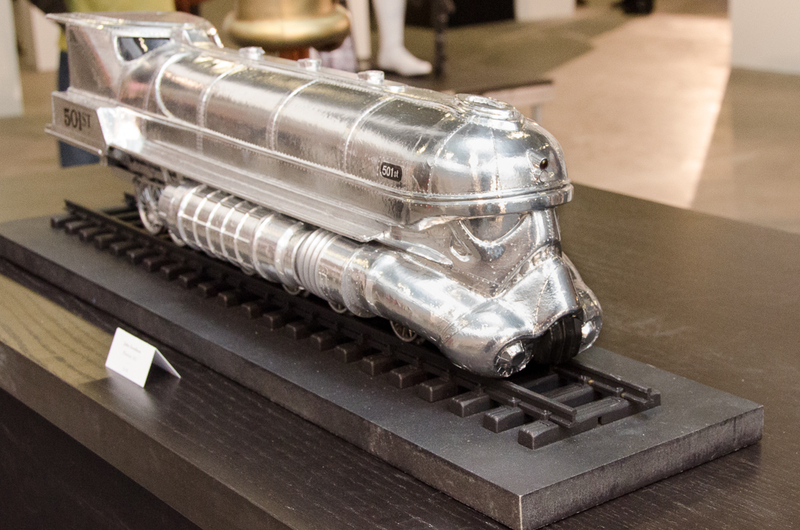 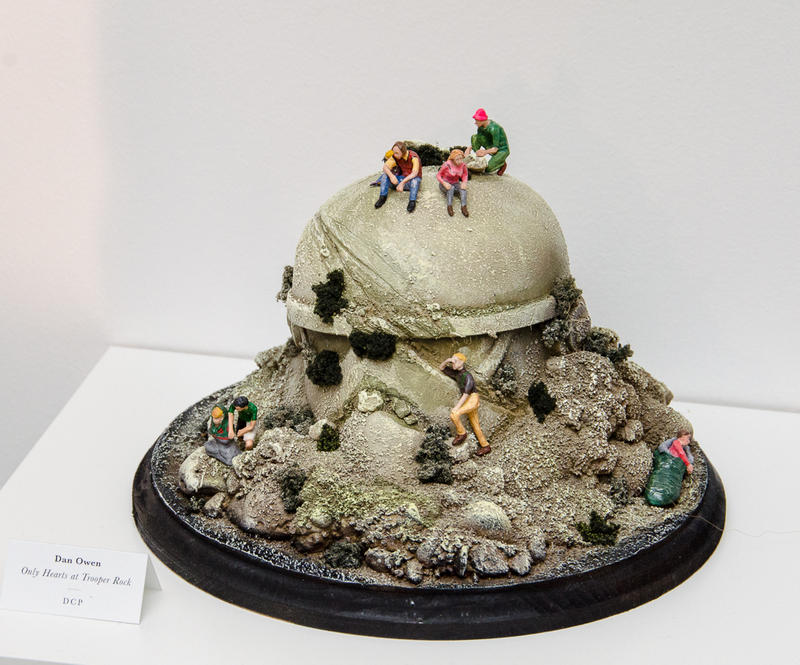 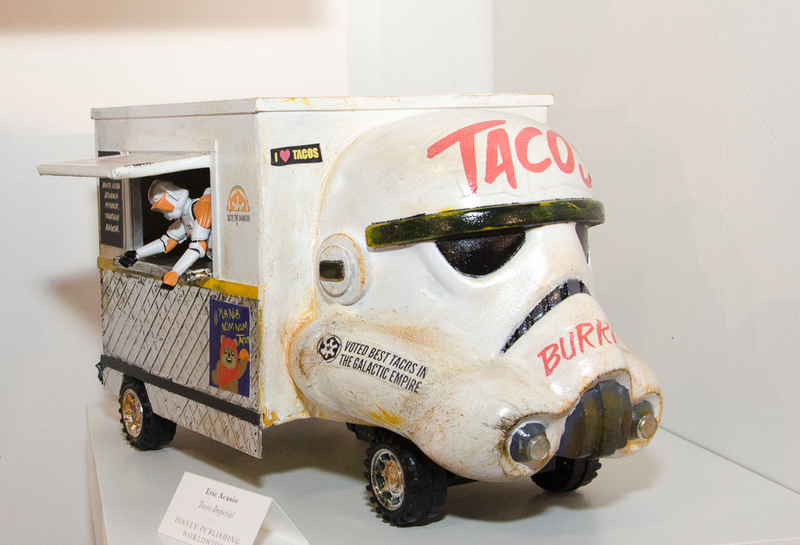 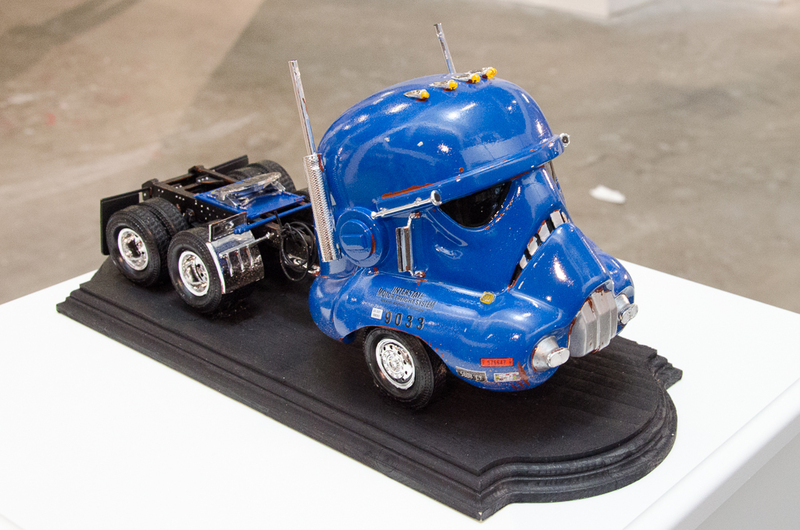 Yes, there were the expected military themed pieces, but they were easily outnumbered by pieces that reimagined the iconic helmet as a truck/car cab, or as food, cartoon characters and more. 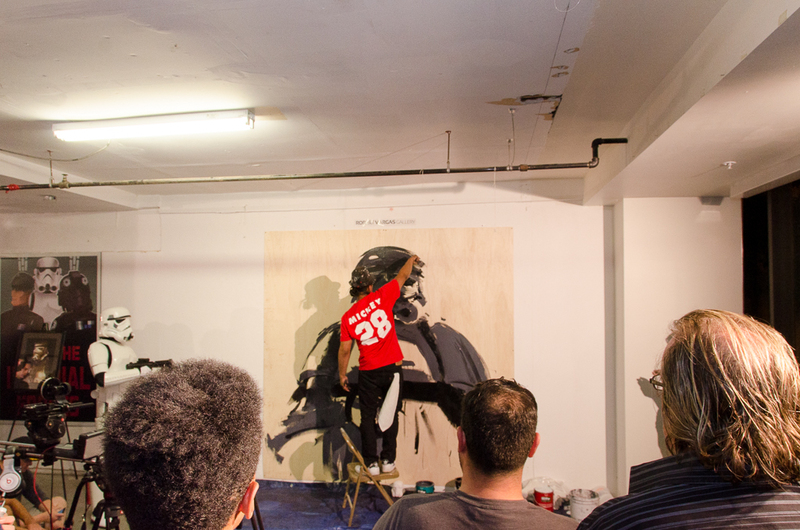 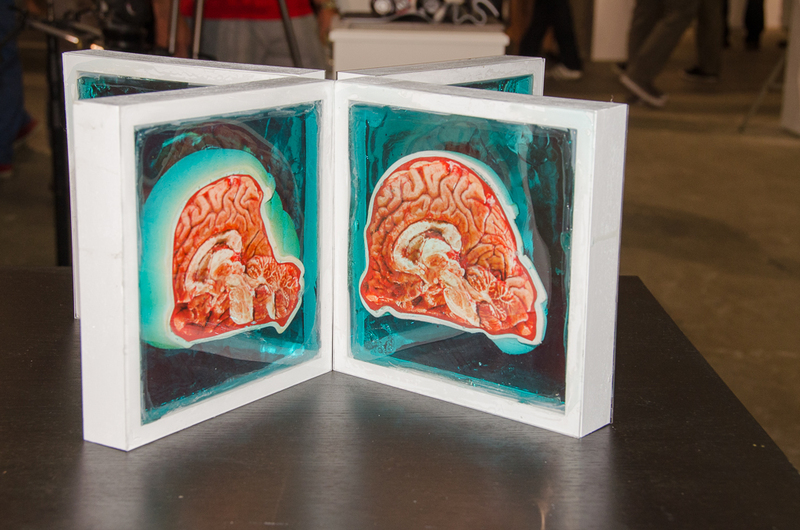 The work is impressive considering that artists had roughly just three weeks to work on their pieces and many are not used to working with 3D canvases. 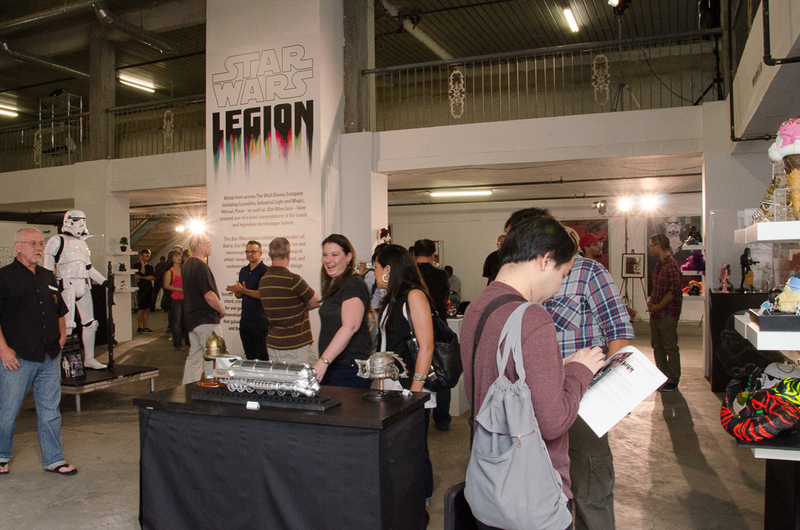 If you’re in LA and looking for a fun art experience, drop by Star Wars Legion on Saturday, 5.3 (2-6 PM) or Sunday (Noon – 4 PM).